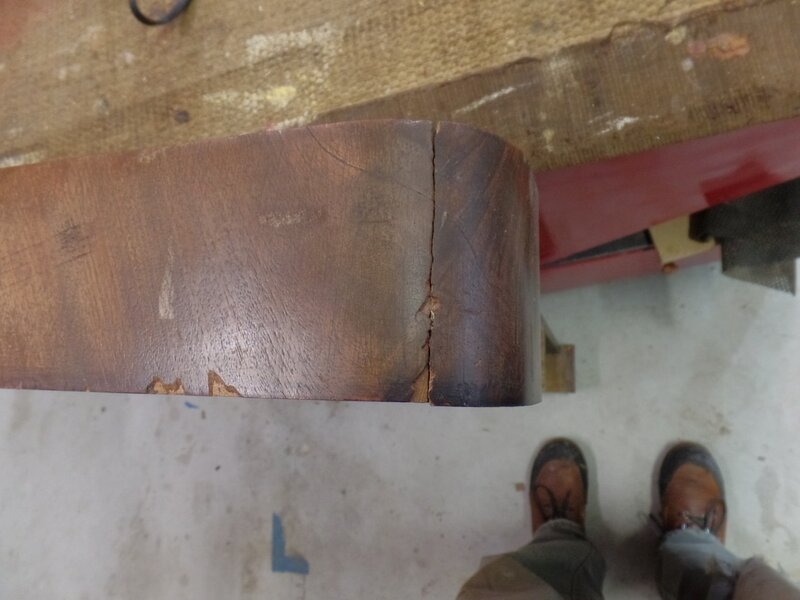 This piece was in bad shape. 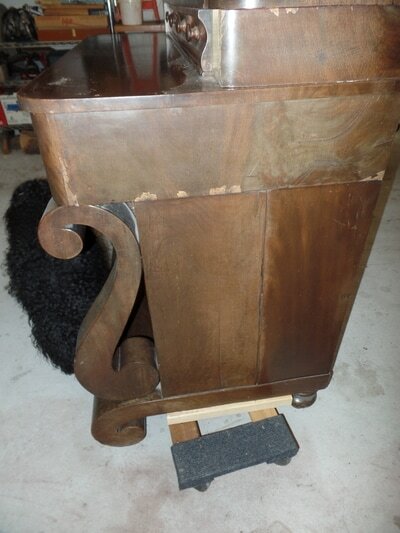 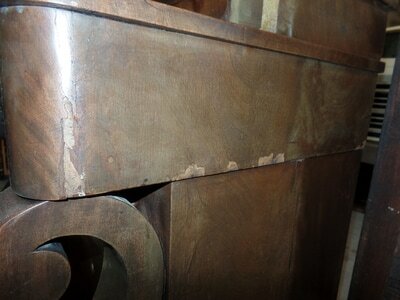 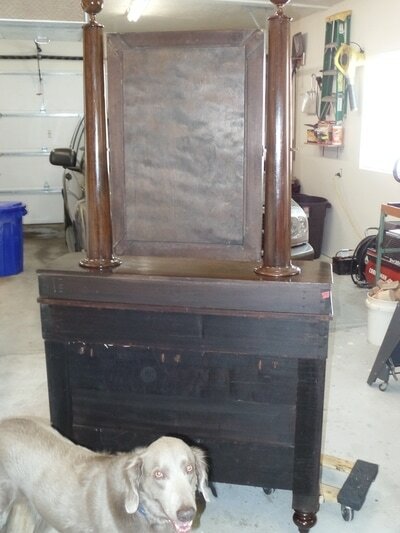 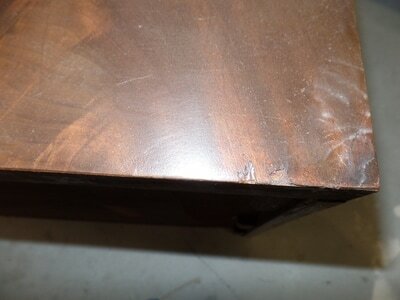 It had water damage on the top from planter and the customers bird chewed off some of the veneer. 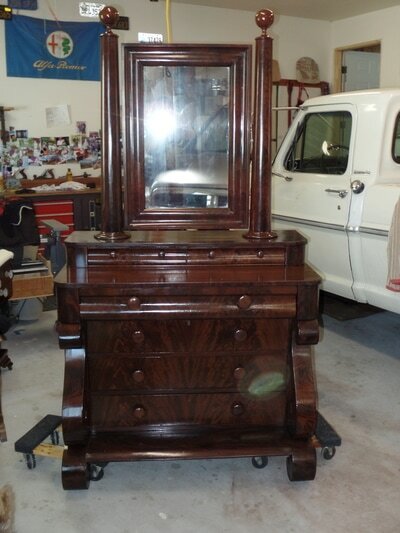 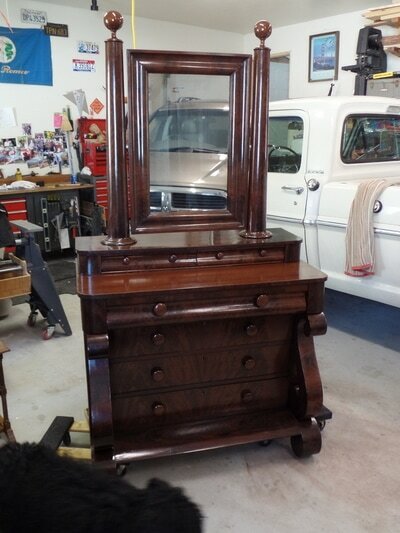 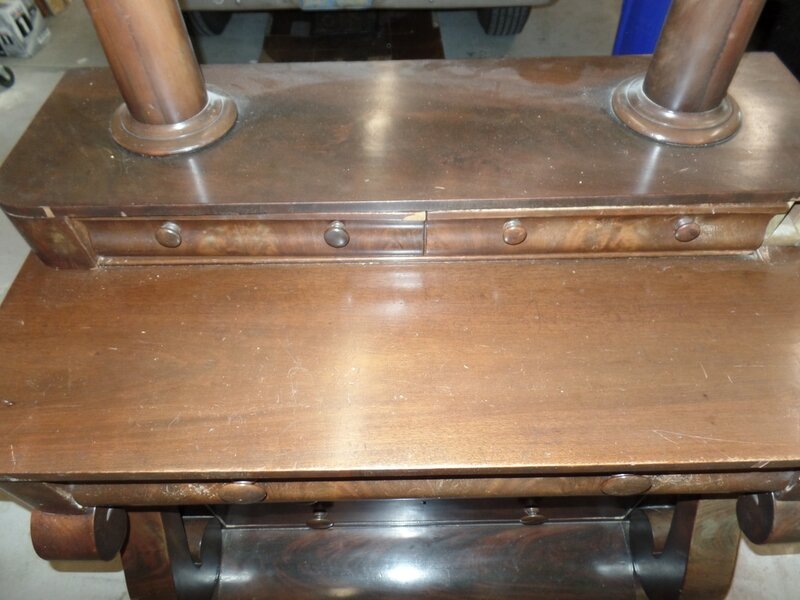 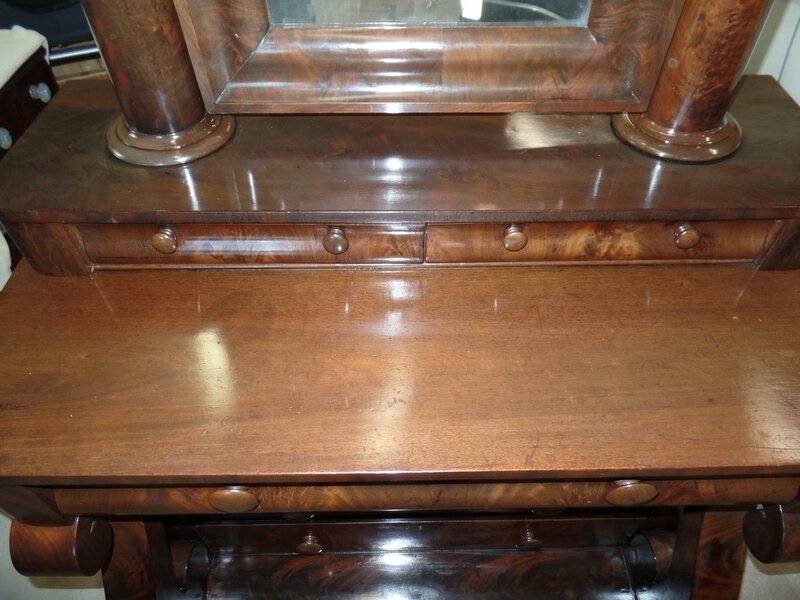 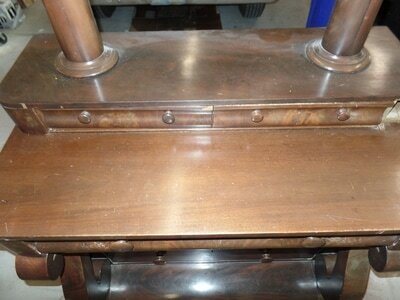 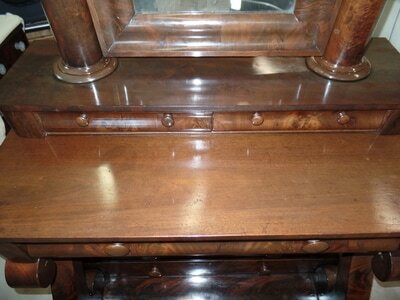 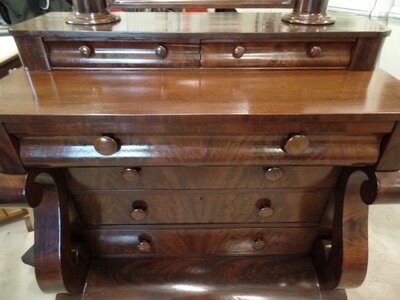 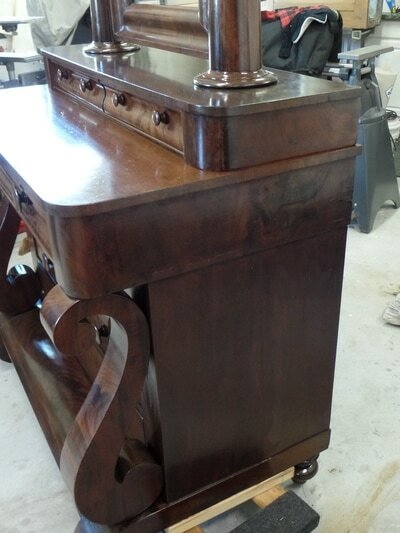 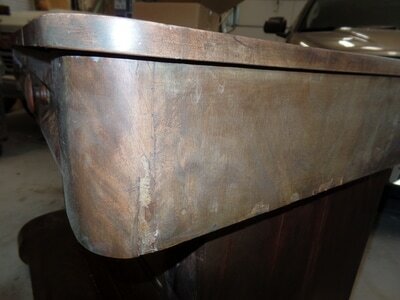 This piece was not refinished but cleaned and polished. 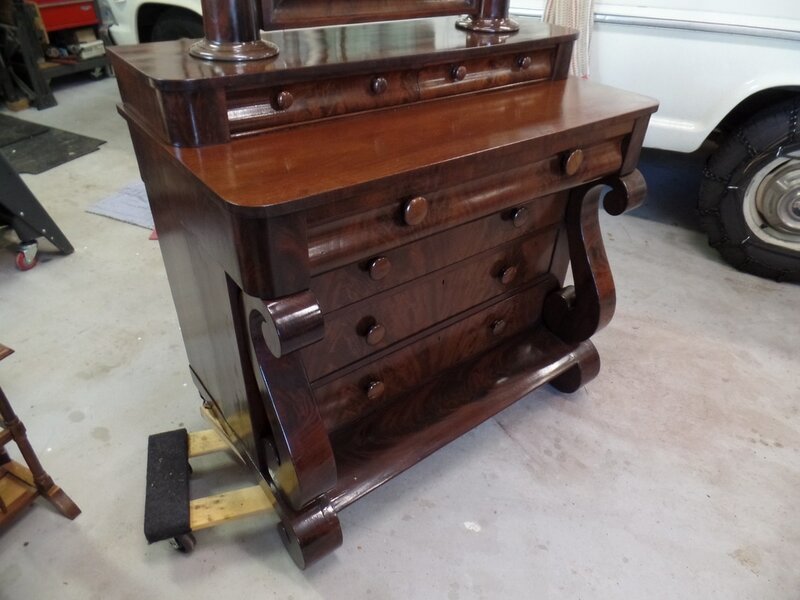 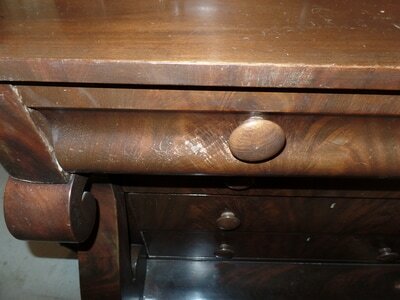 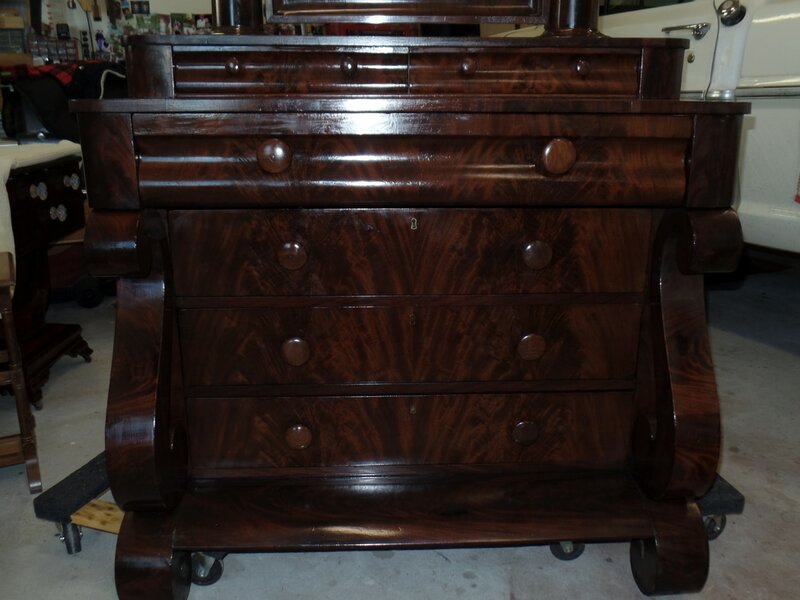 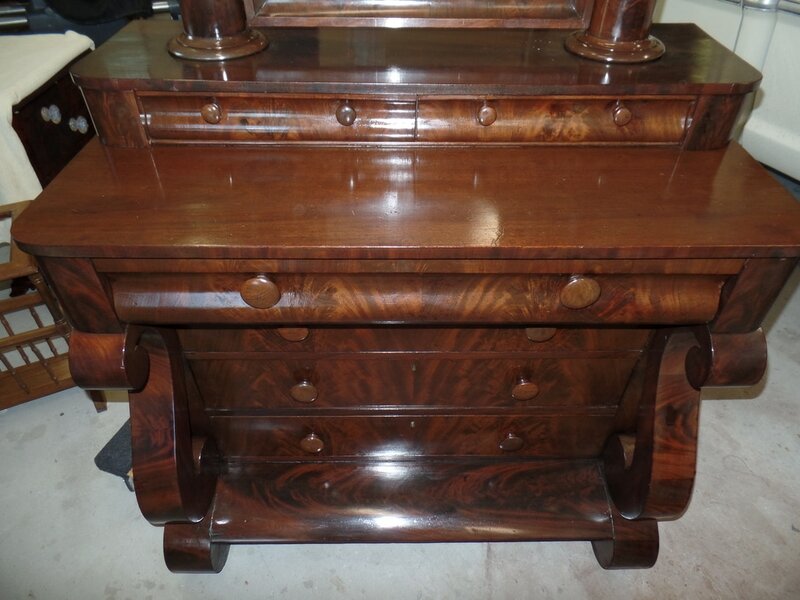 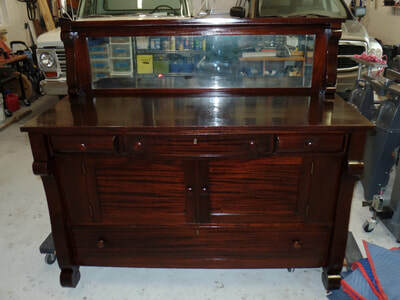 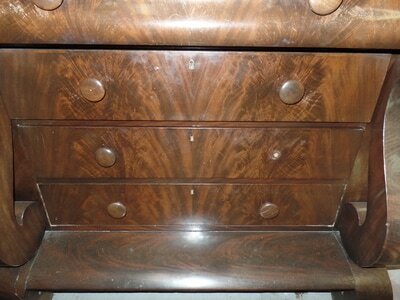 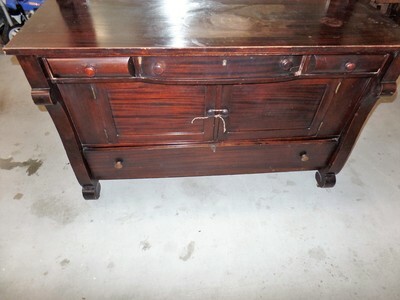 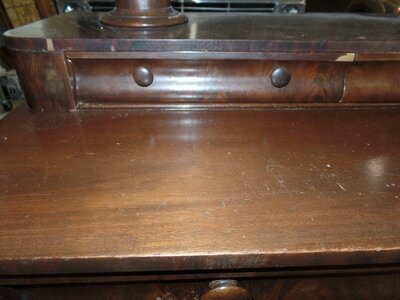 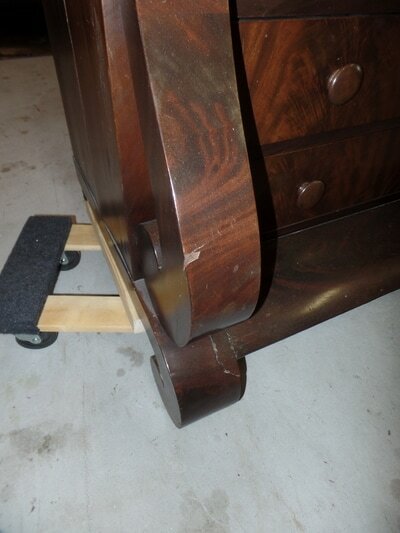 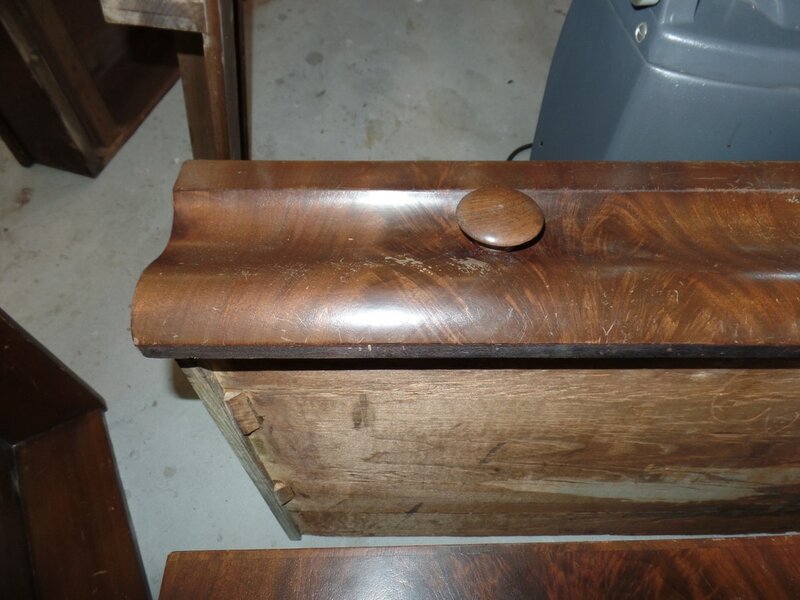 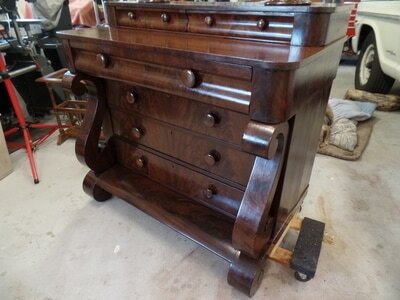 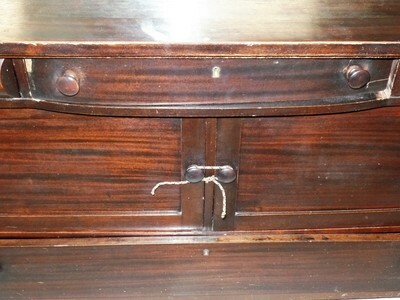 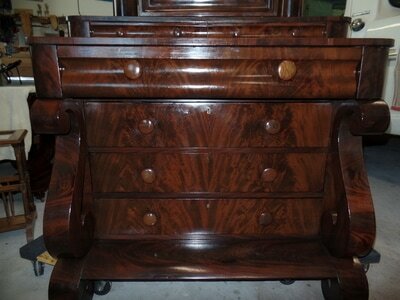 All drawers where glued , missing veneer replaced and water damage was fixed. ​Made from Mahogany & Walnut. 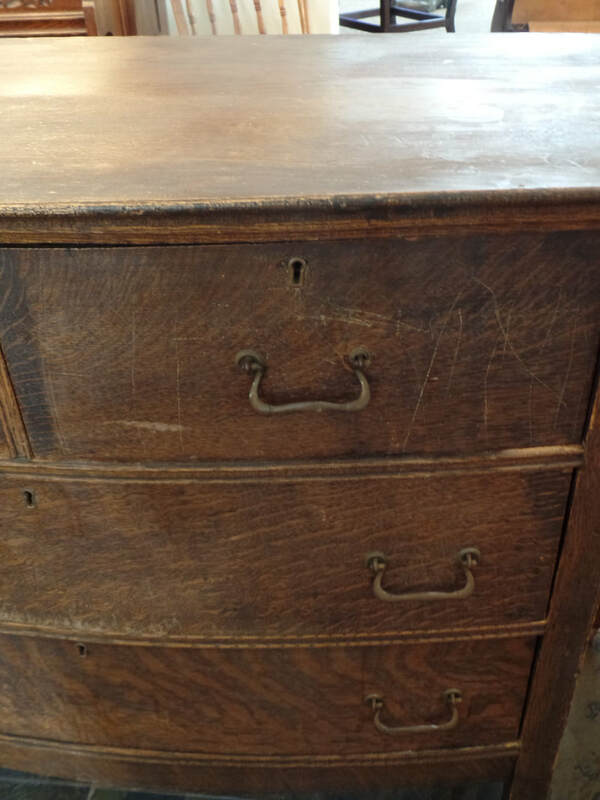 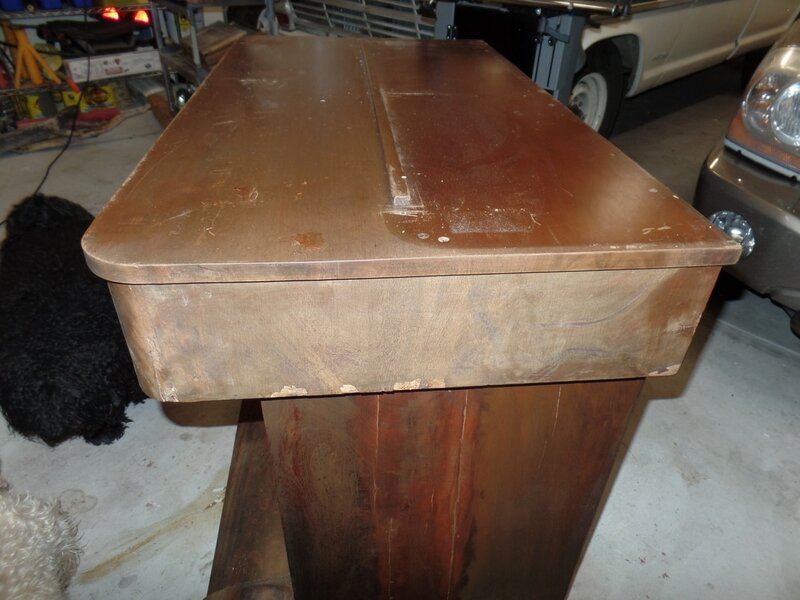 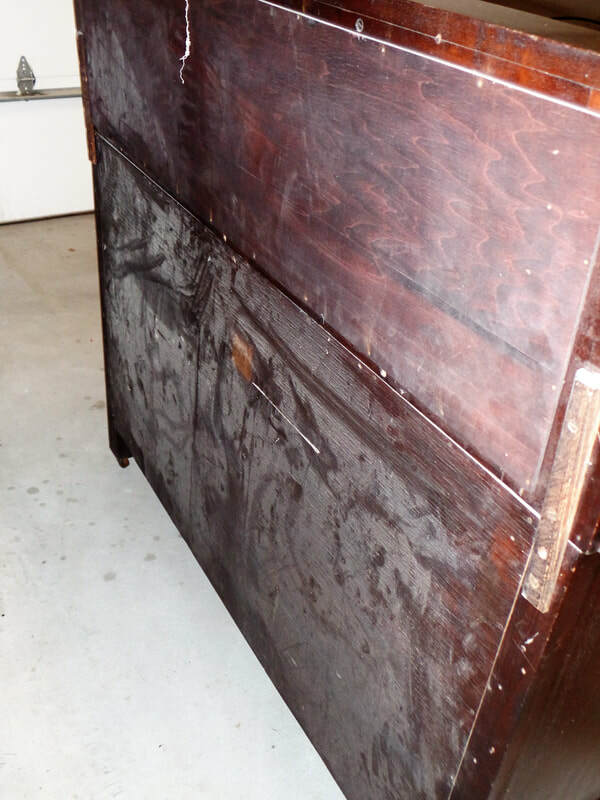 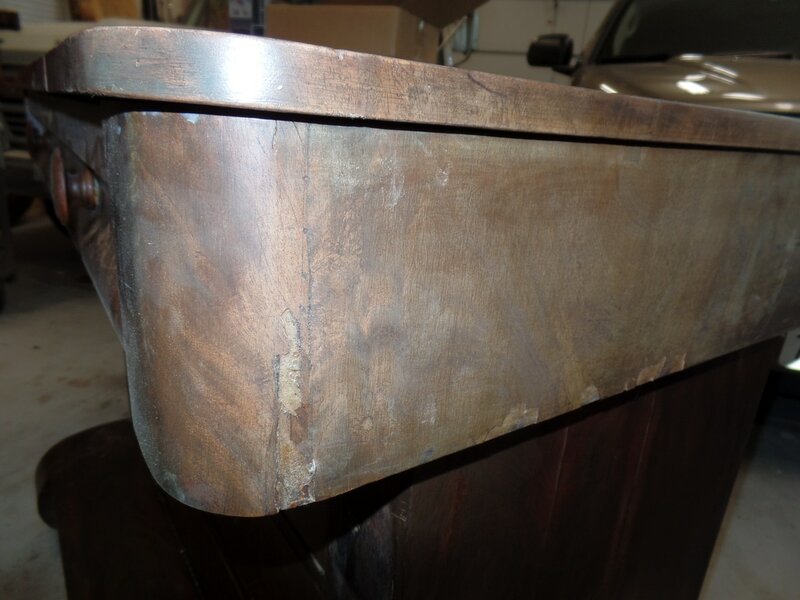 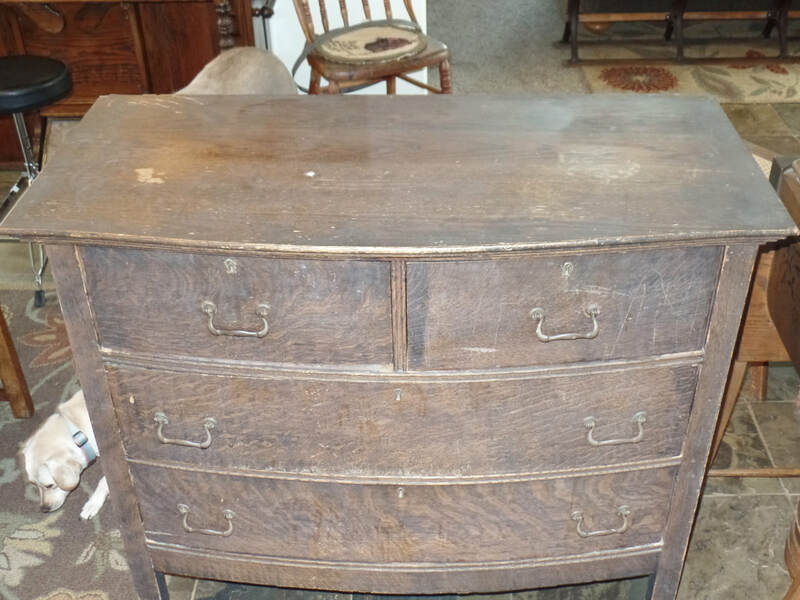 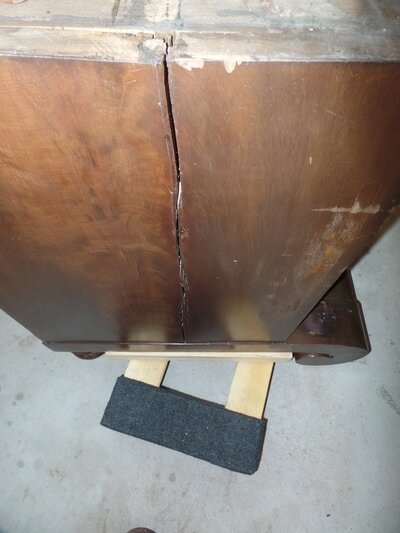 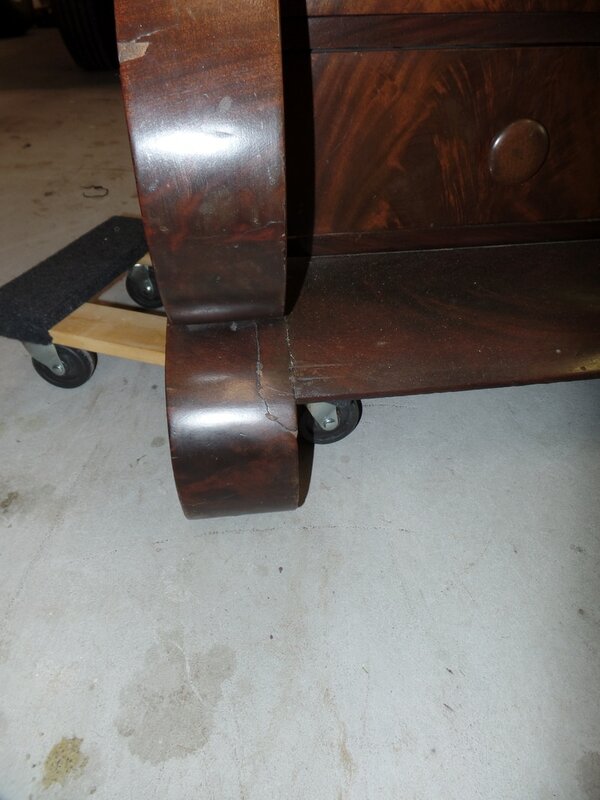 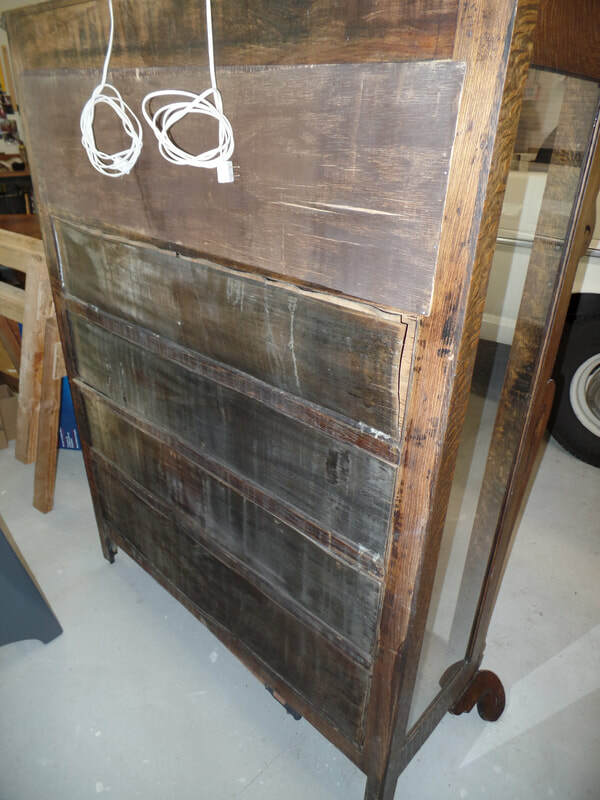 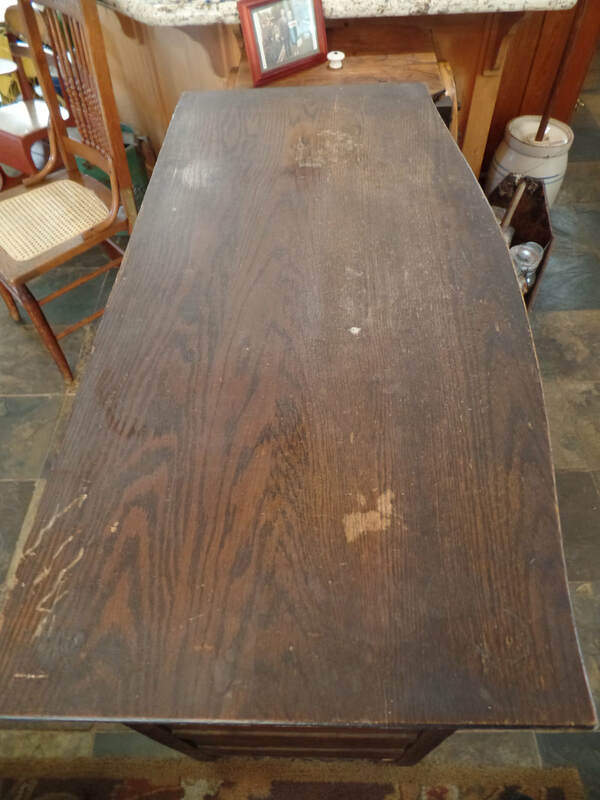 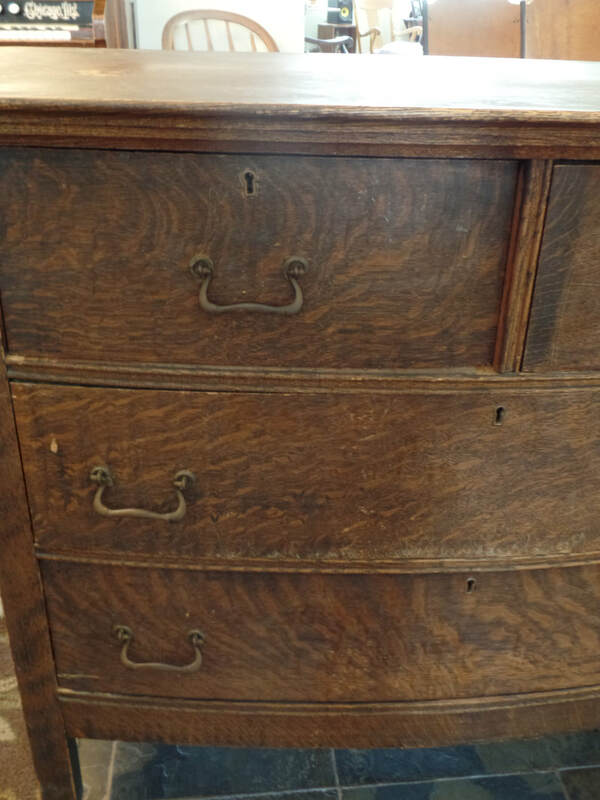 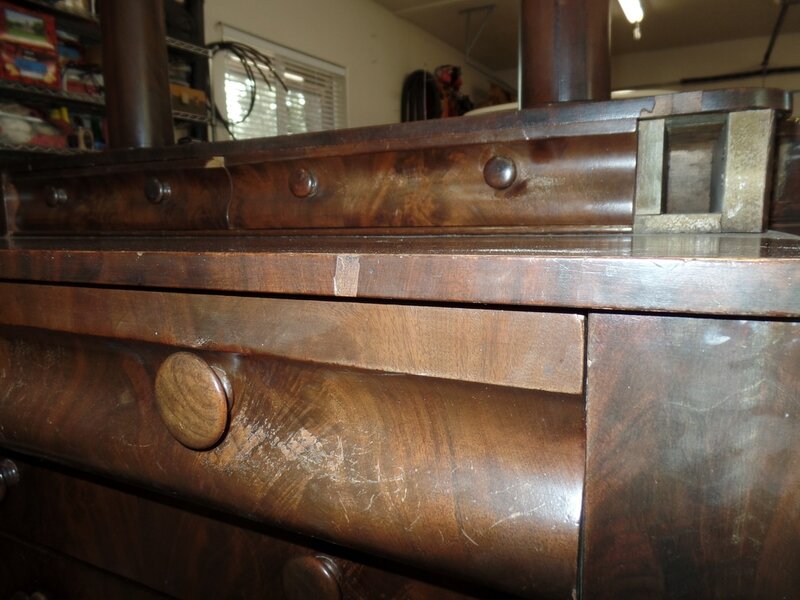 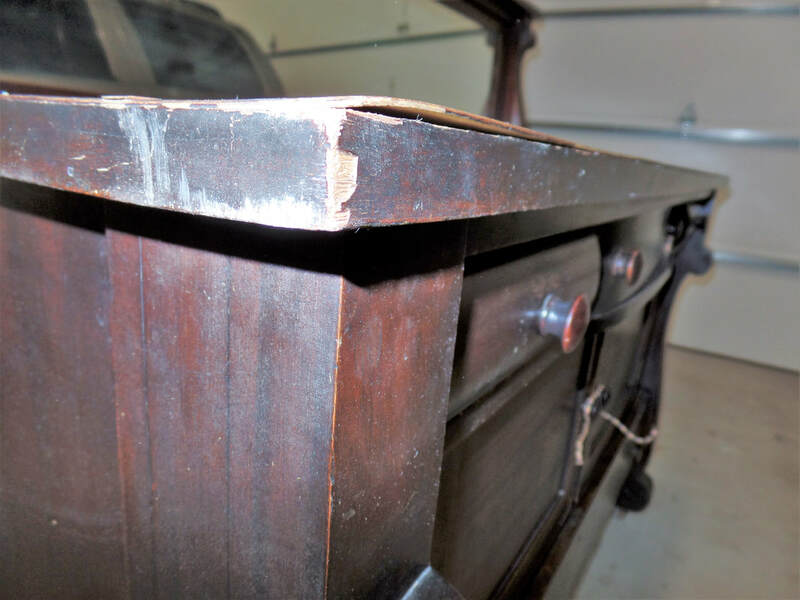 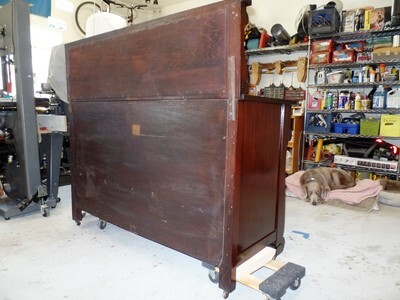 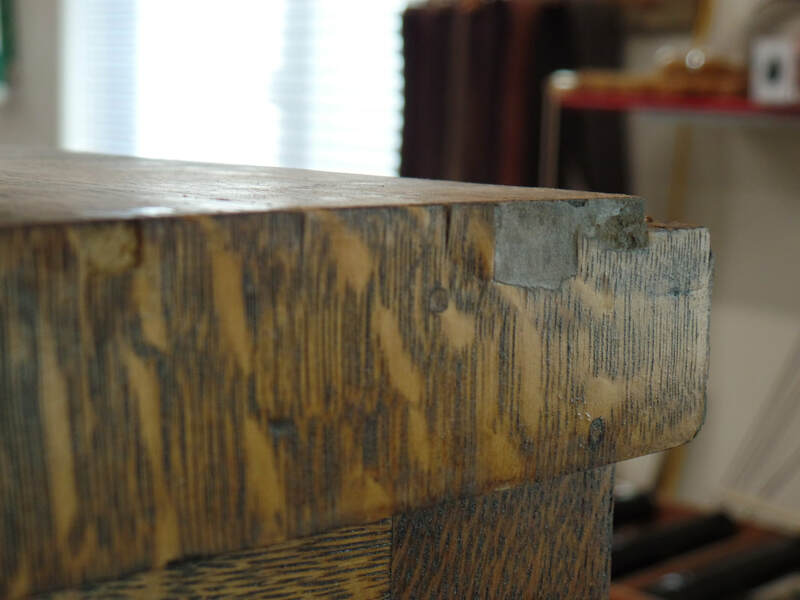 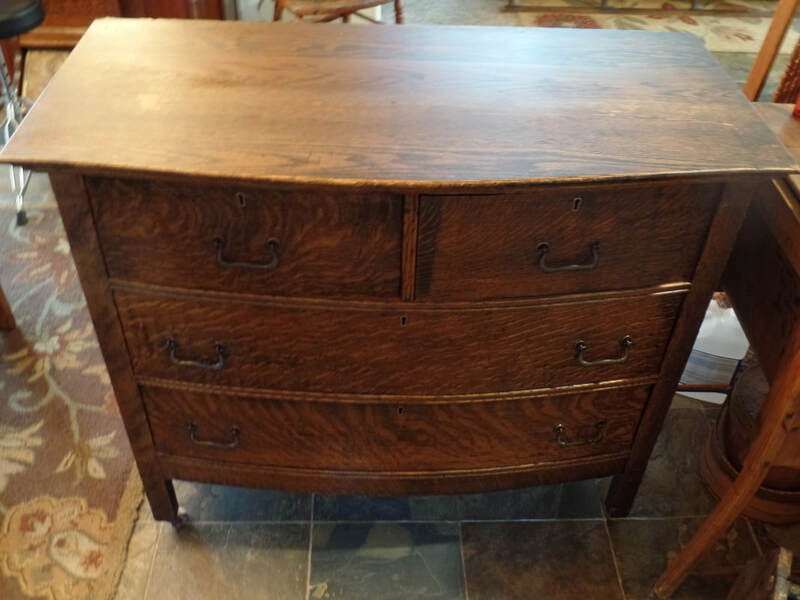 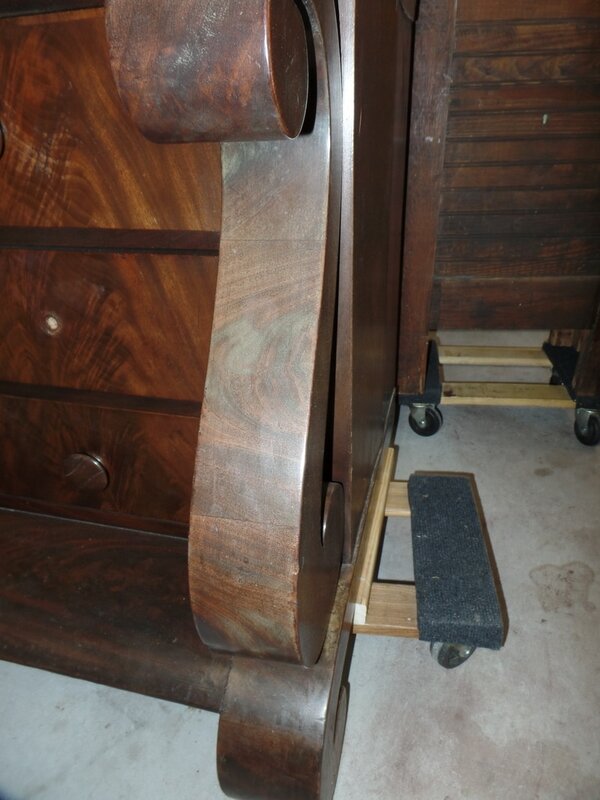 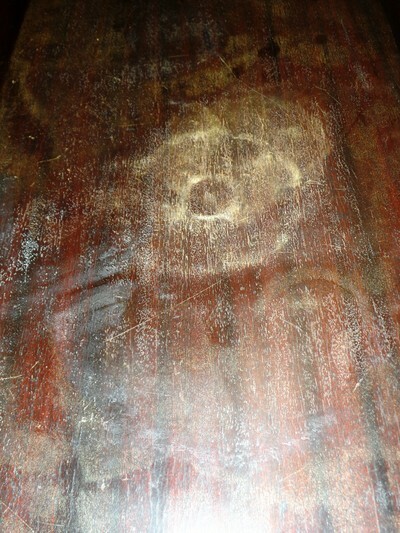 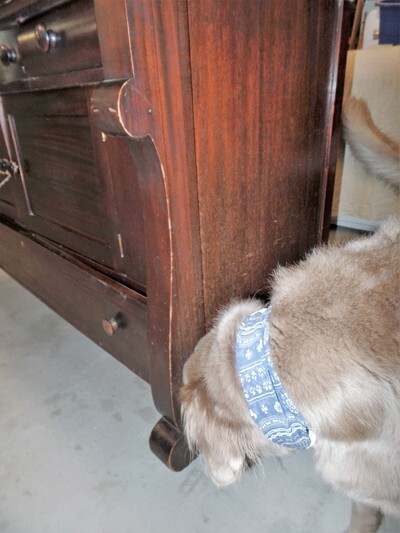 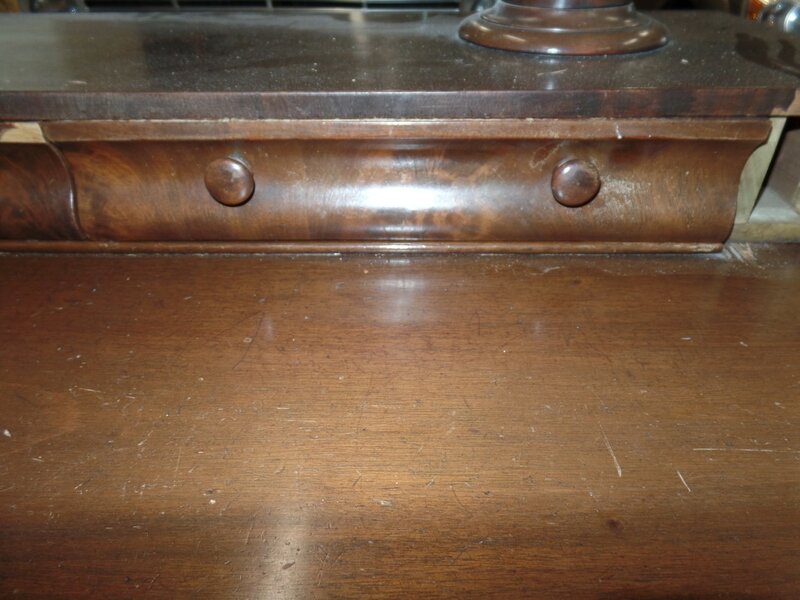 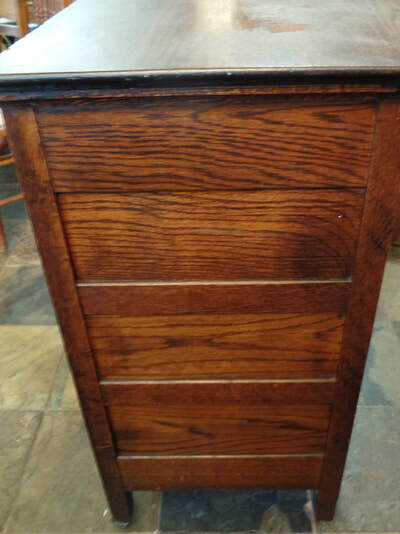 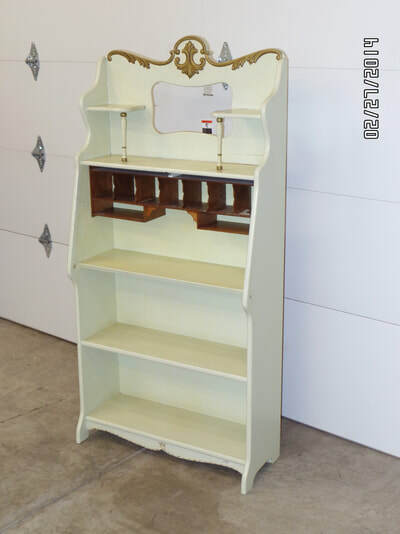 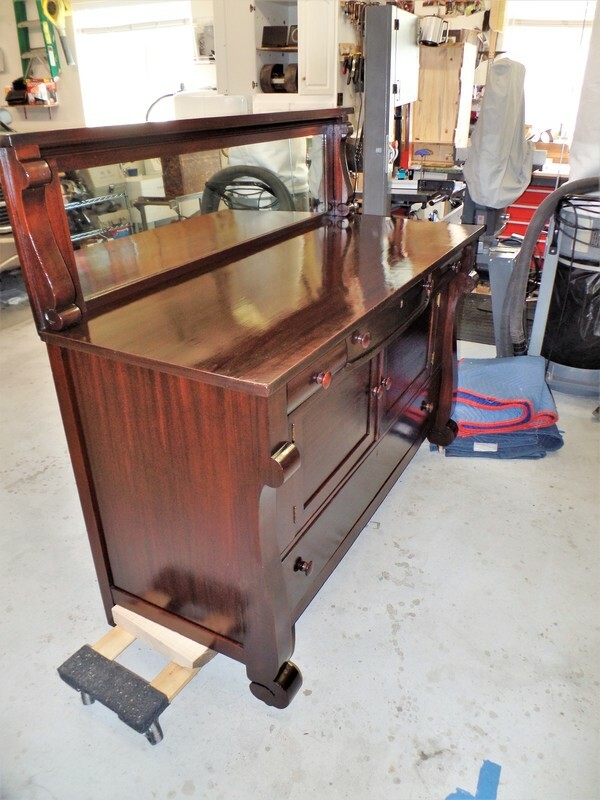 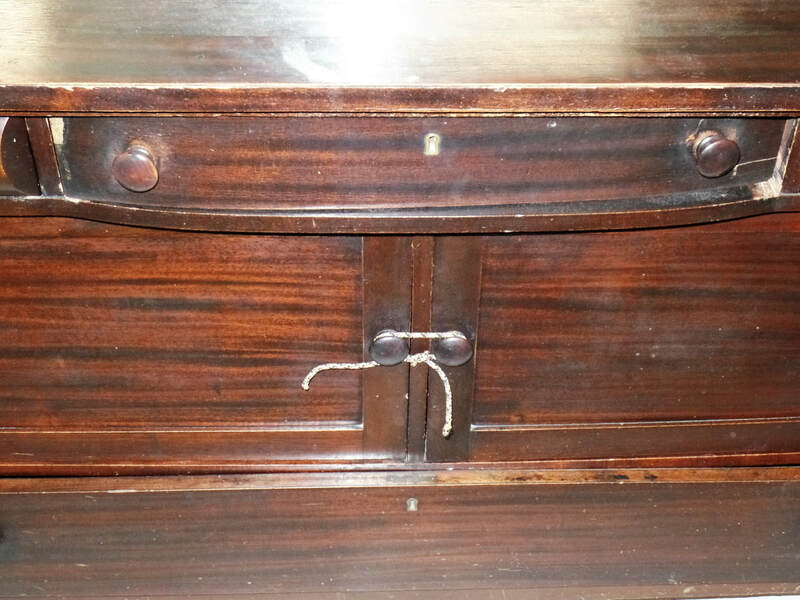 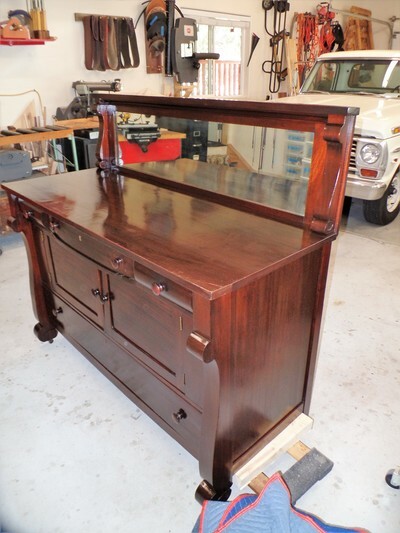 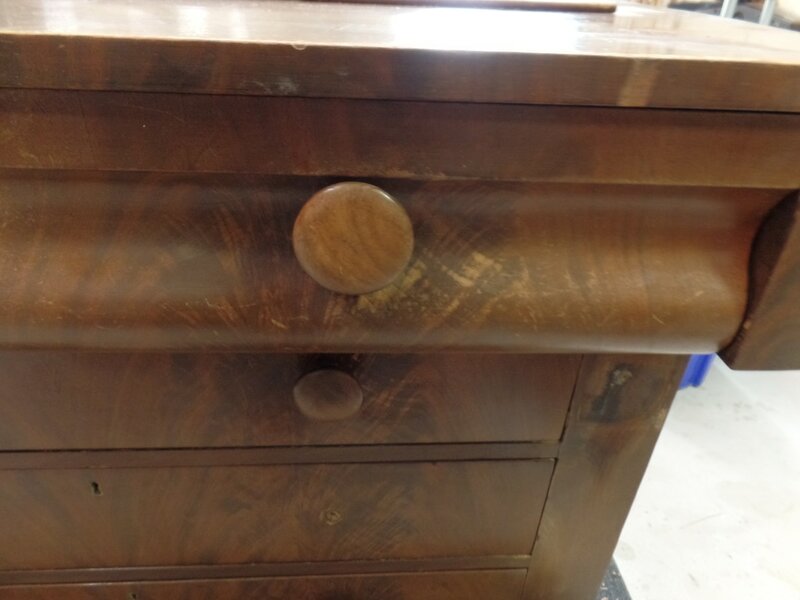 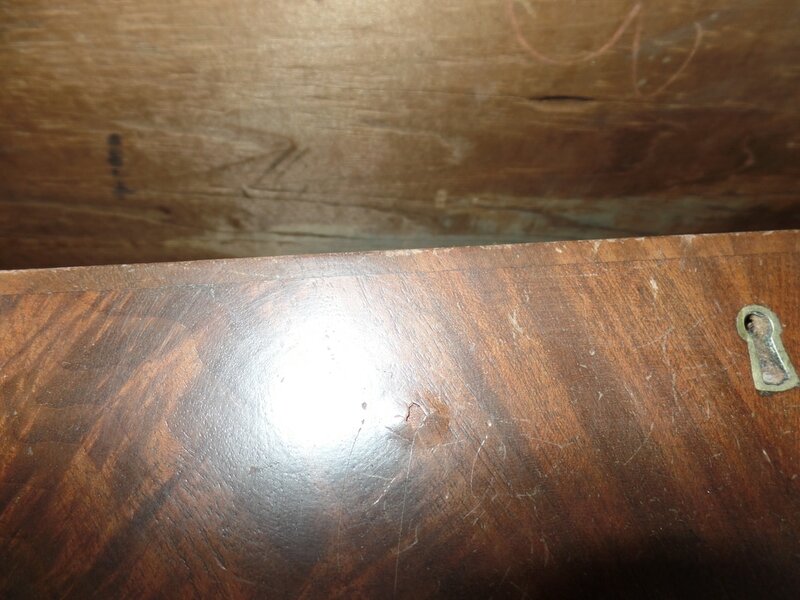 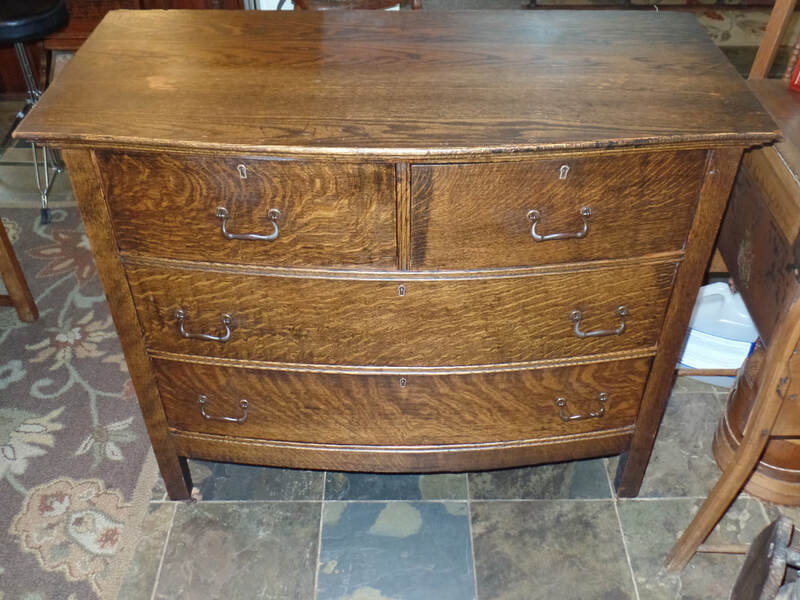 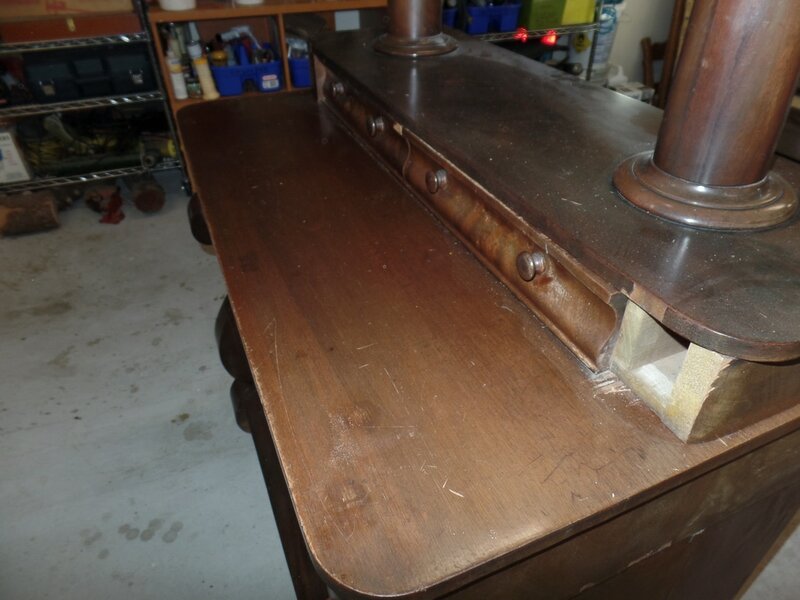 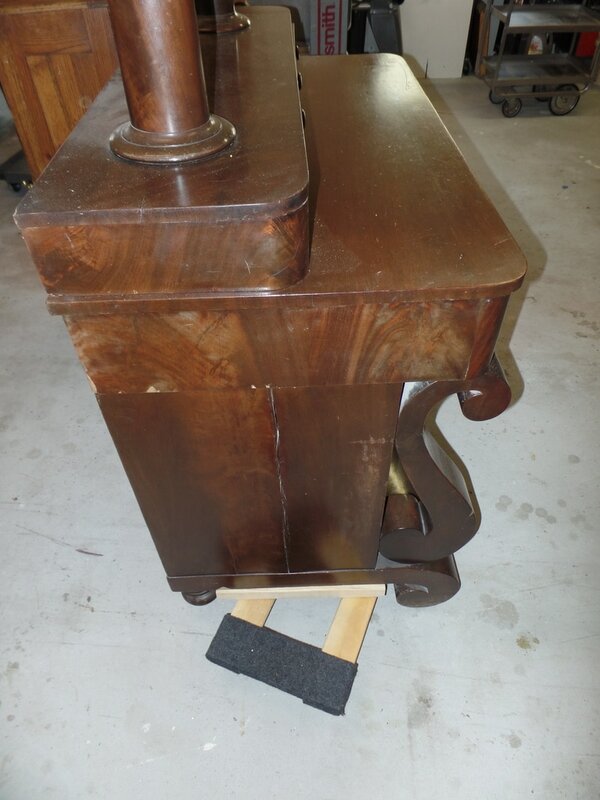 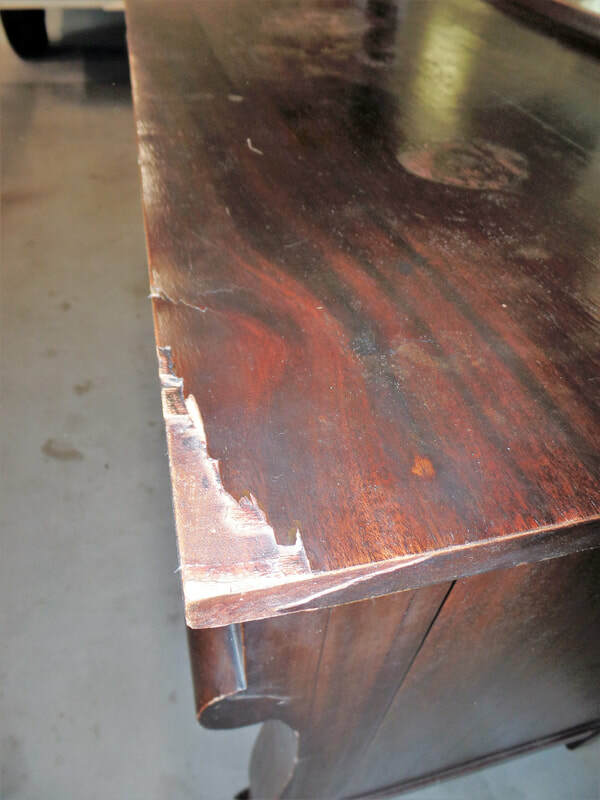 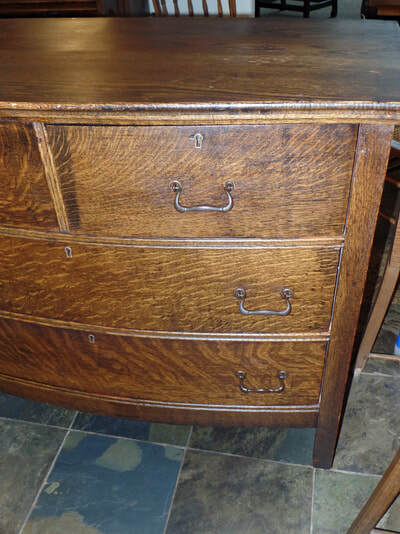 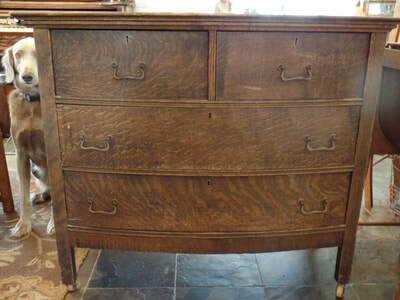 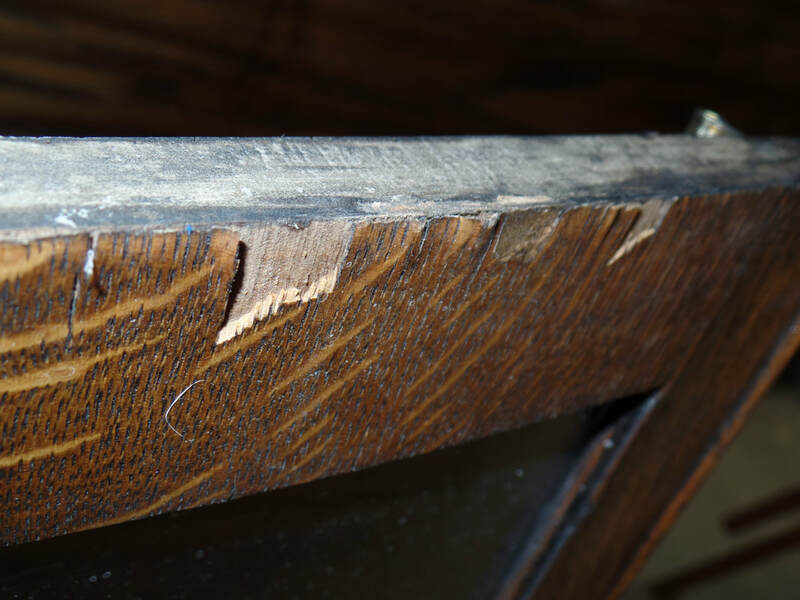 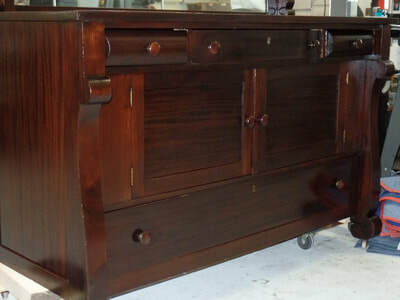 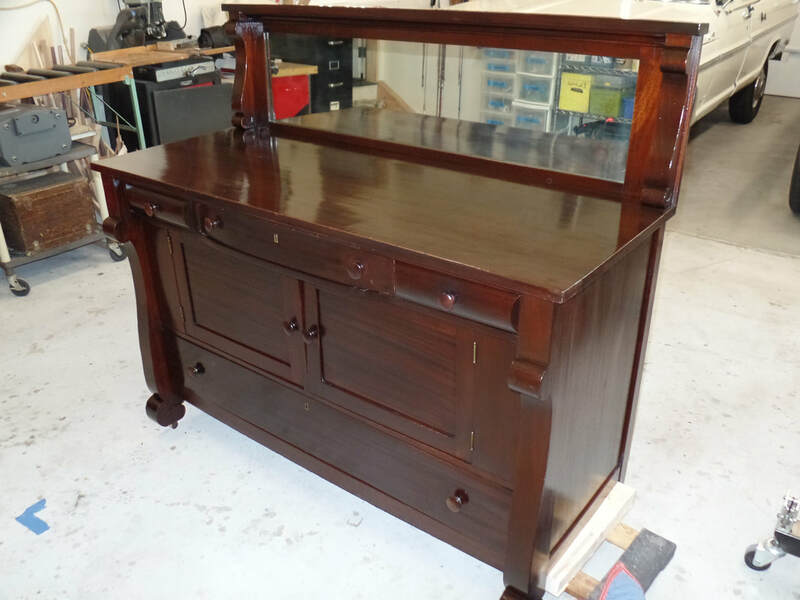 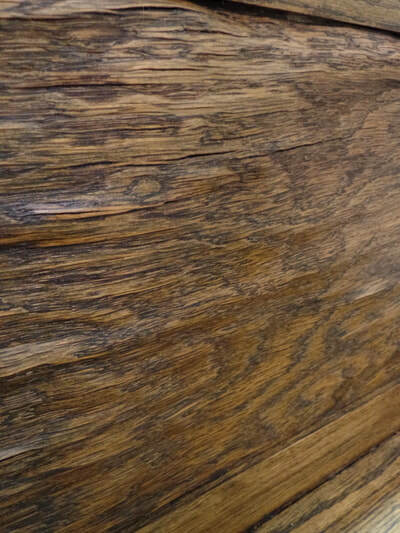 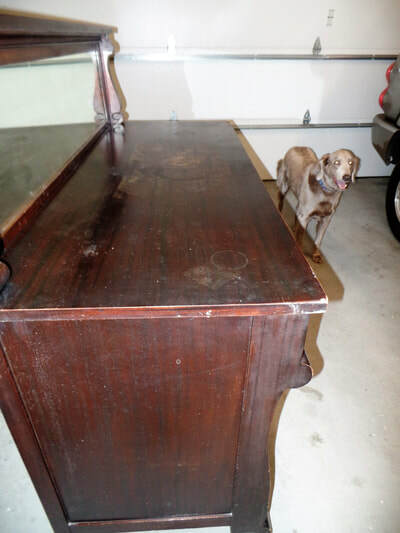 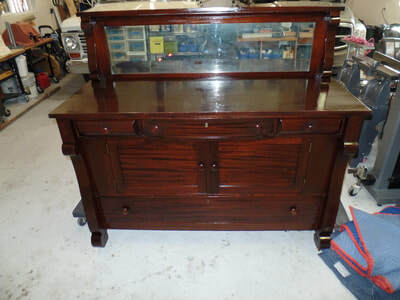 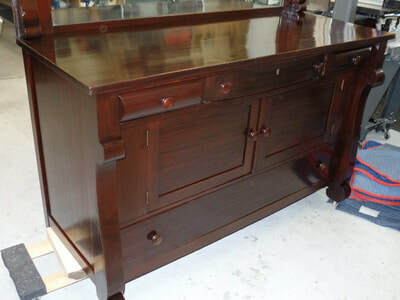 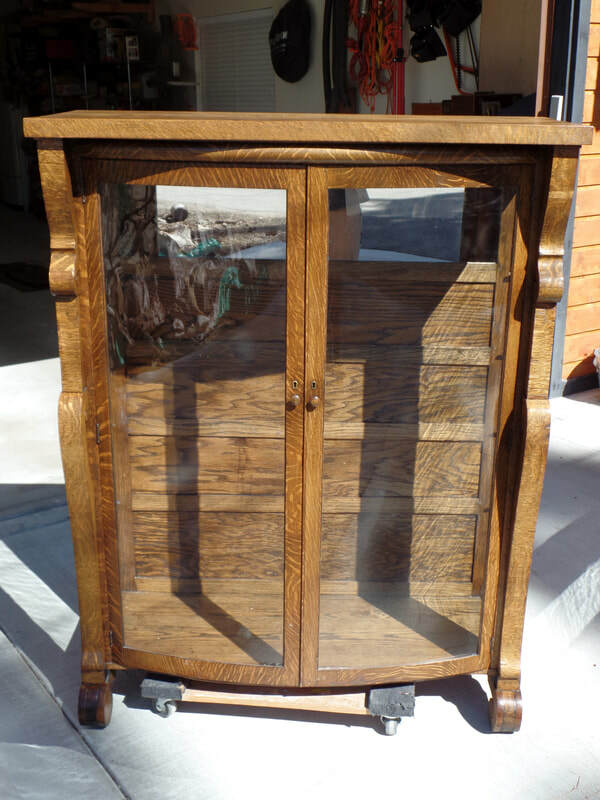 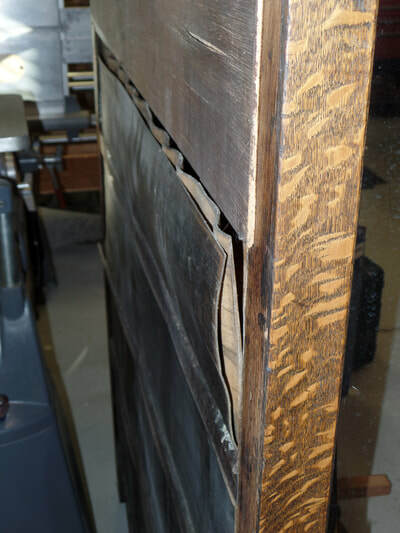 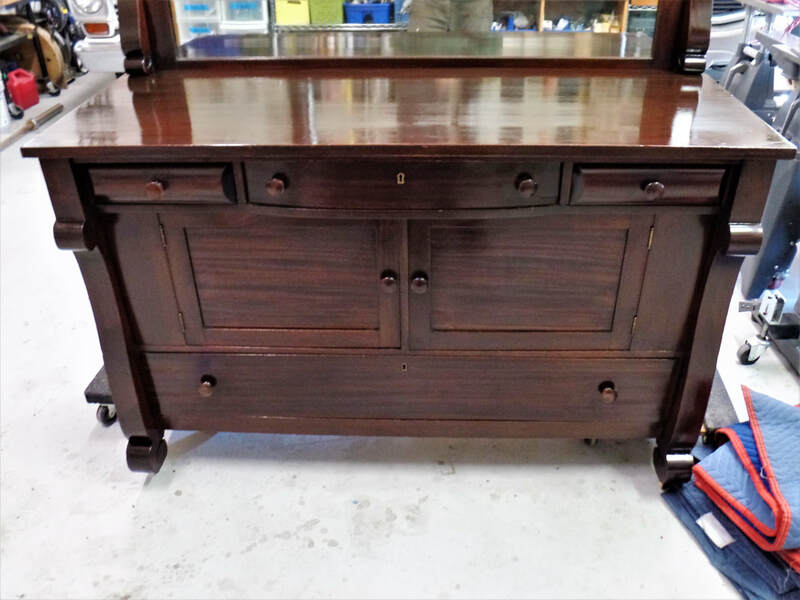 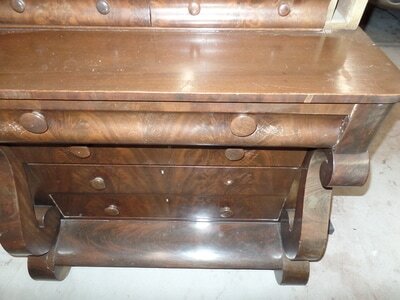 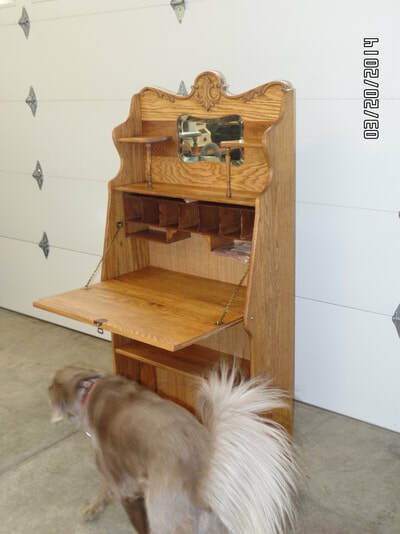 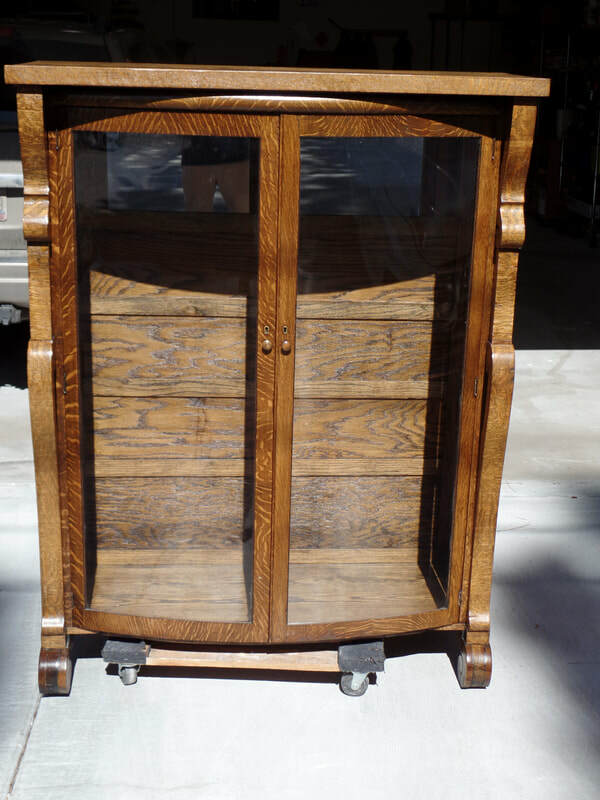 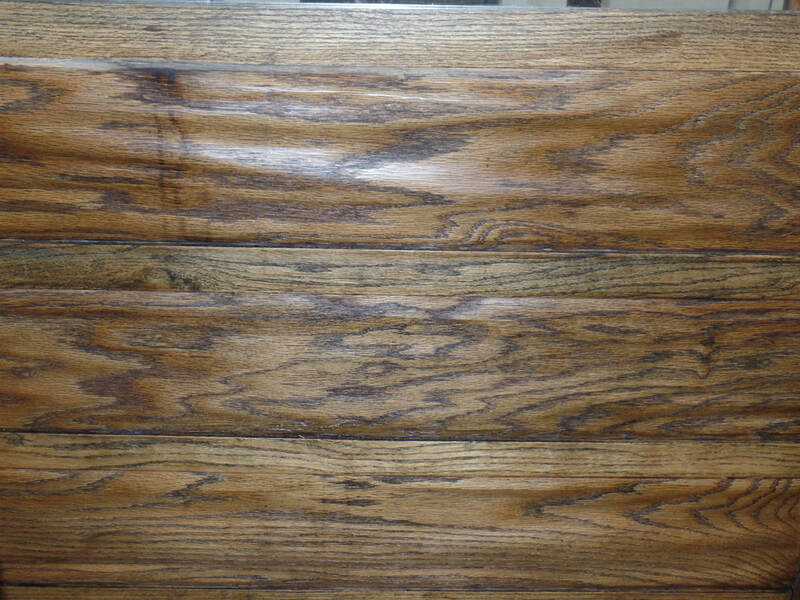 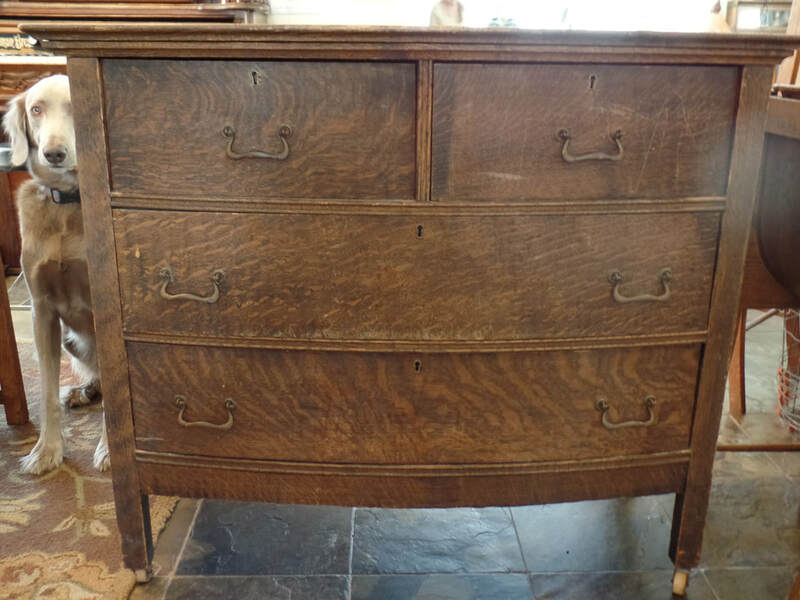 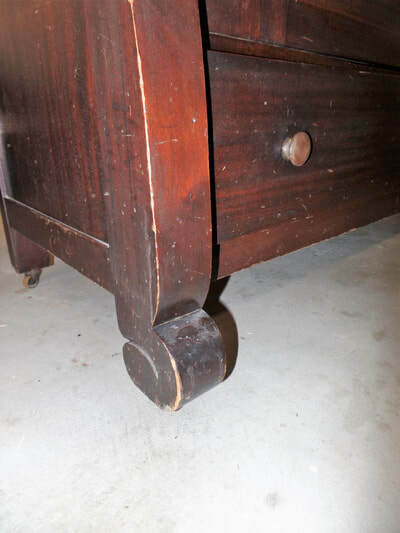 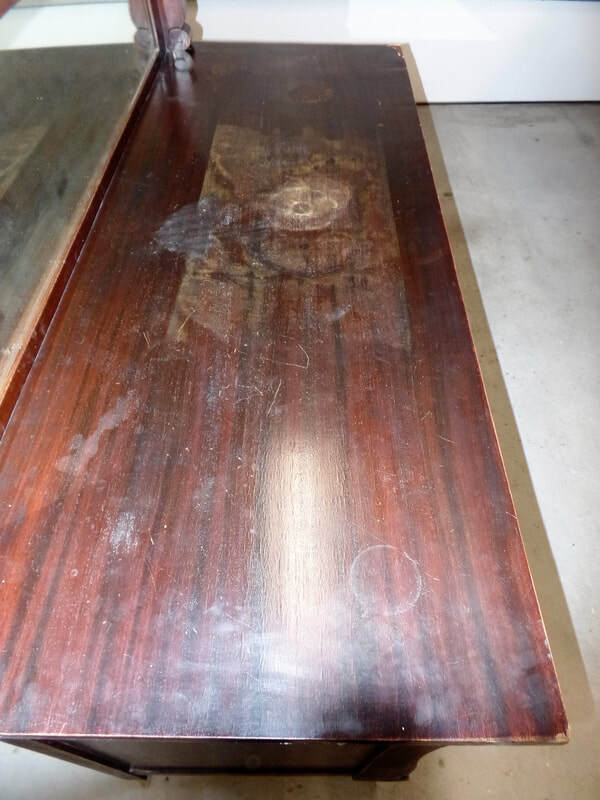 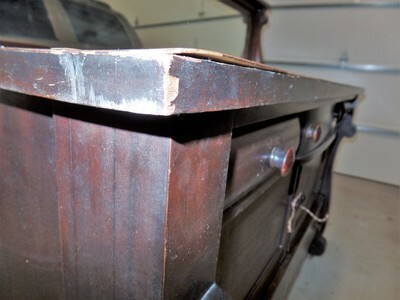 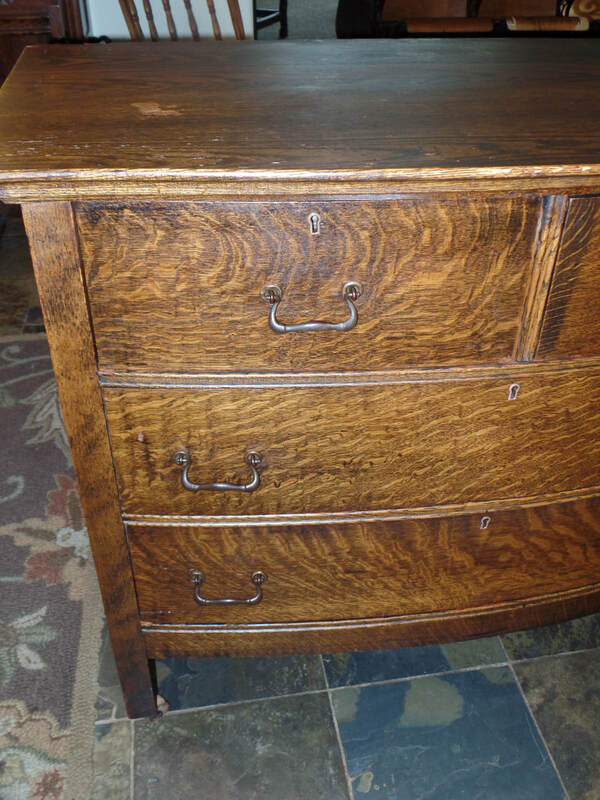 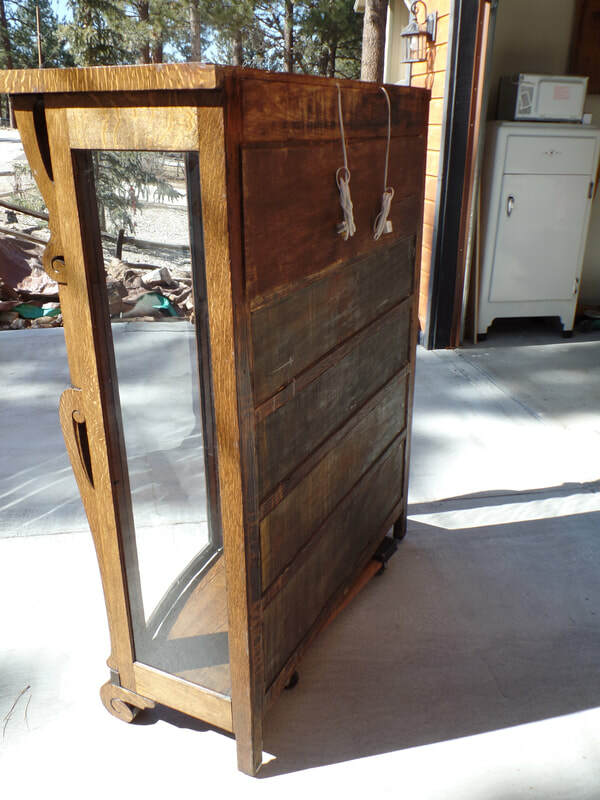 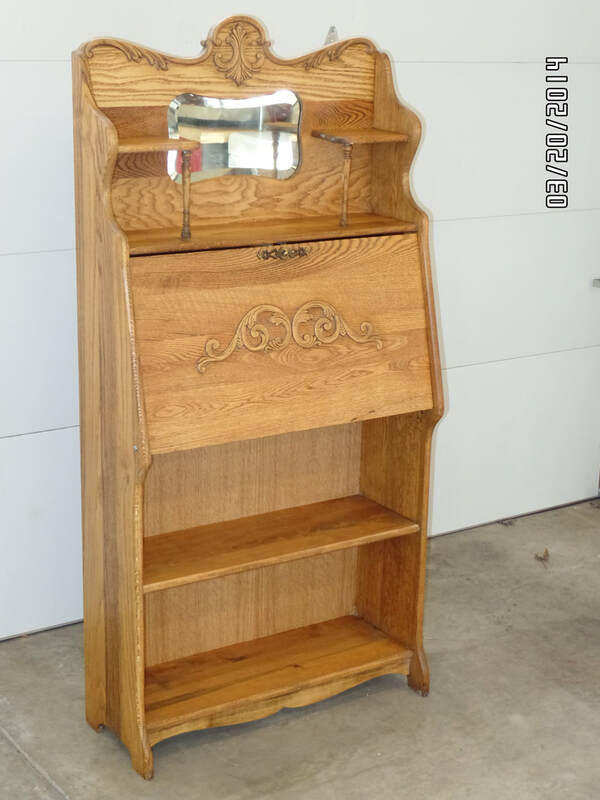 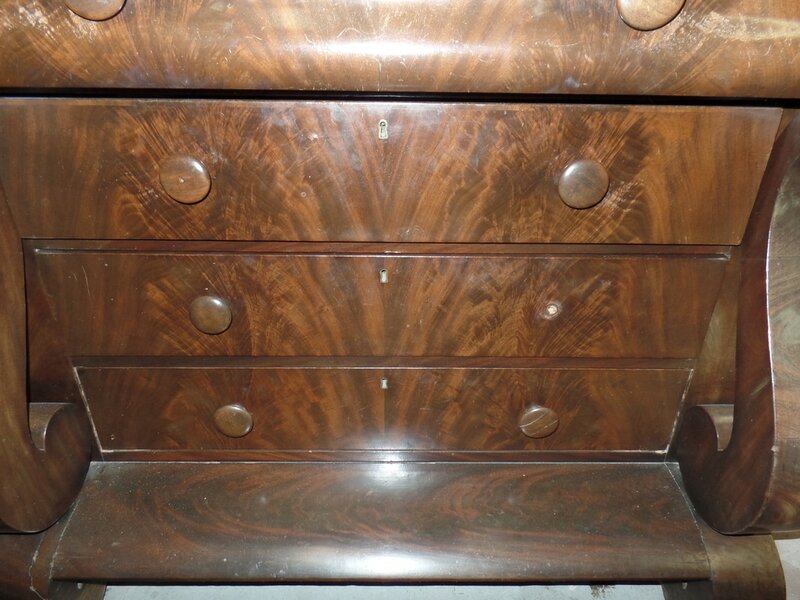 This dresser had a lot of damage, Missing Veneer, expansion cracks in the side, bubbled veneer, scratches, missing color, lose joints, and the finish was in bad shape. Just about every part had damage. 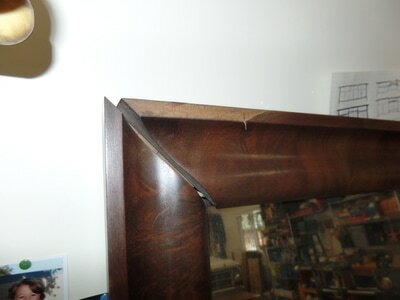 ​I fixed all problems displayed below and polished with shellac . 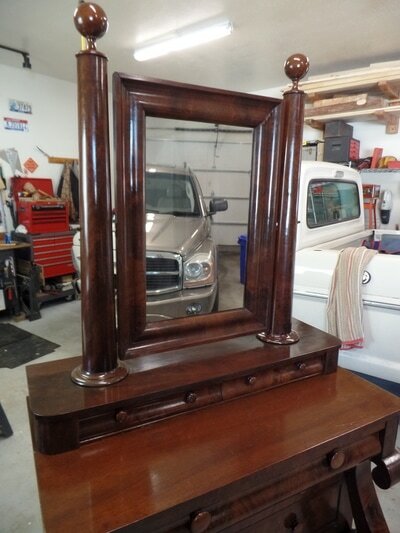 Now it looks beautiful. 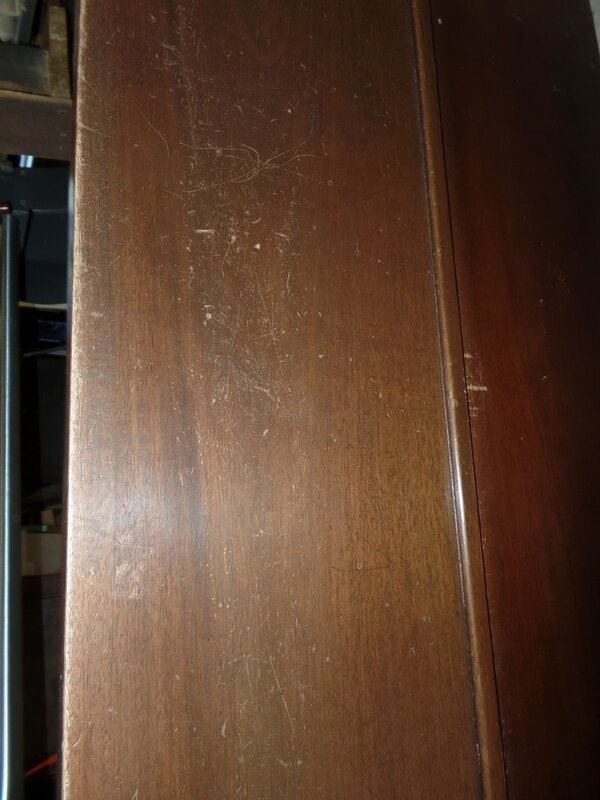 Dresser top scratched and missing color. that was damaged due to a broken water pipe. 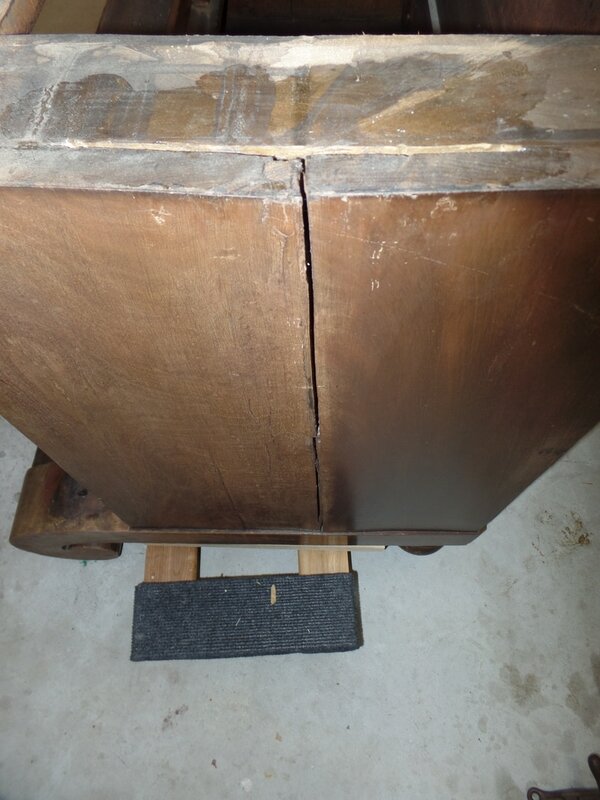 It had significant damage all over. 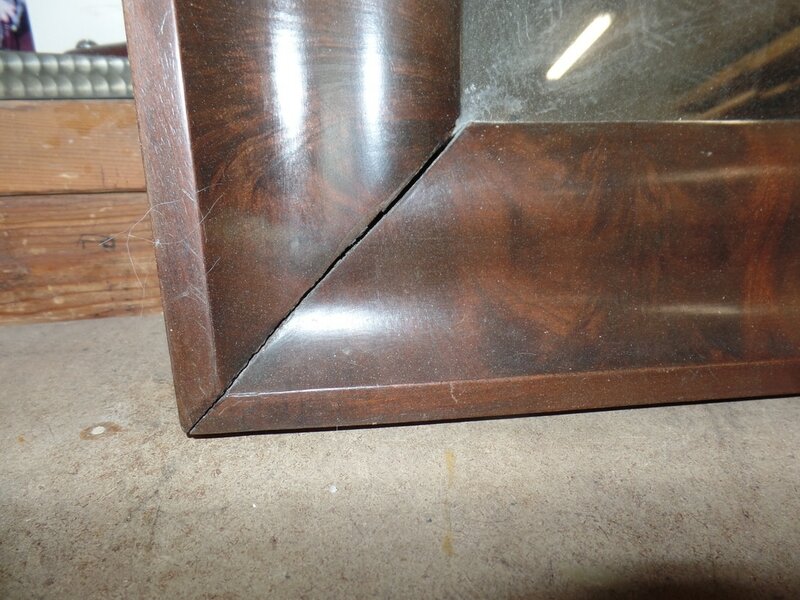 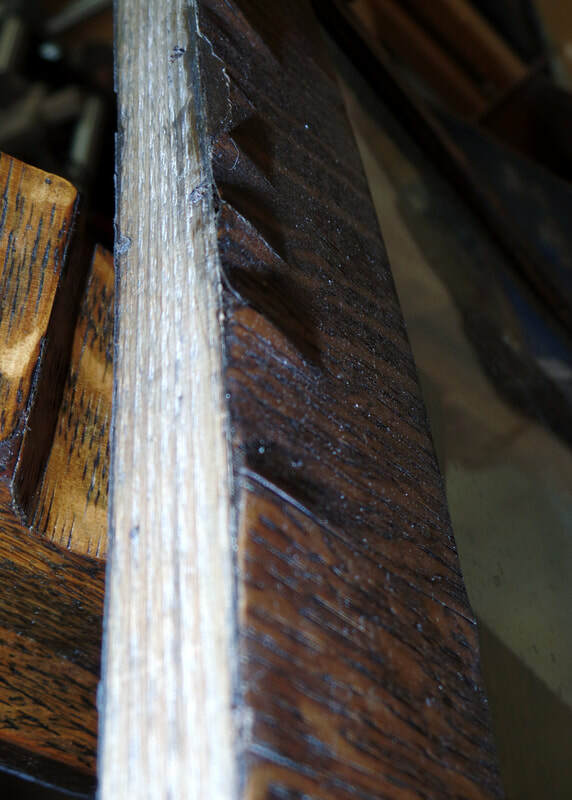 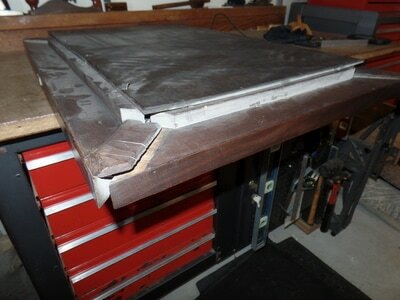 Veneer was separating and all joints had to be taken apart and rebuilt and re glued. 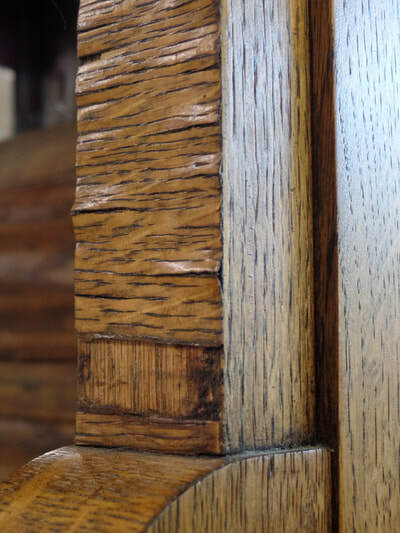 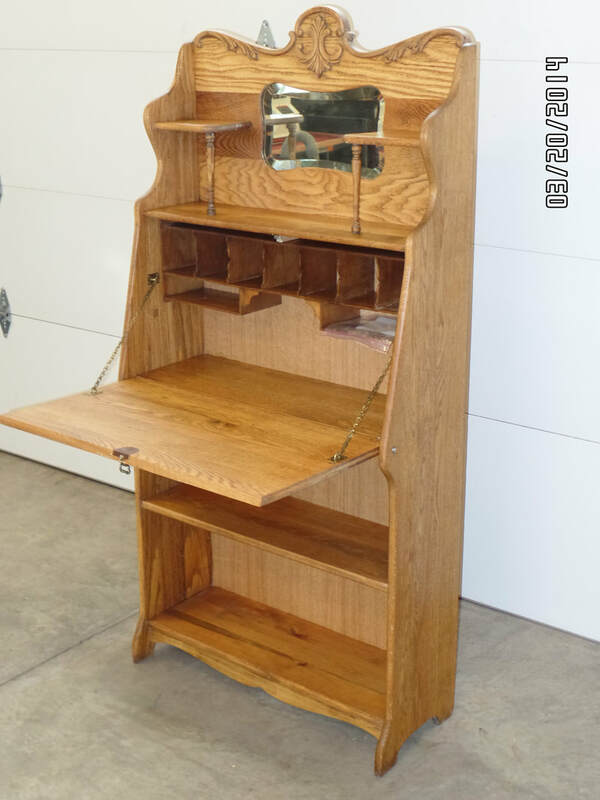 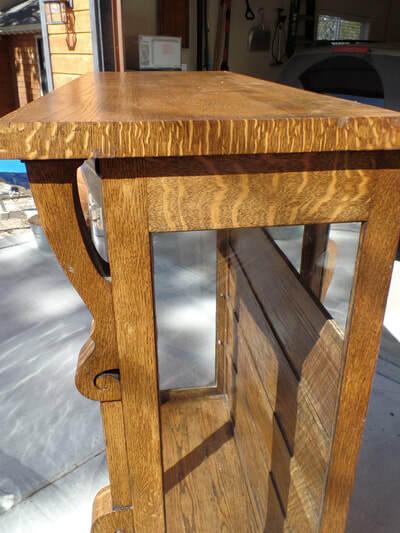 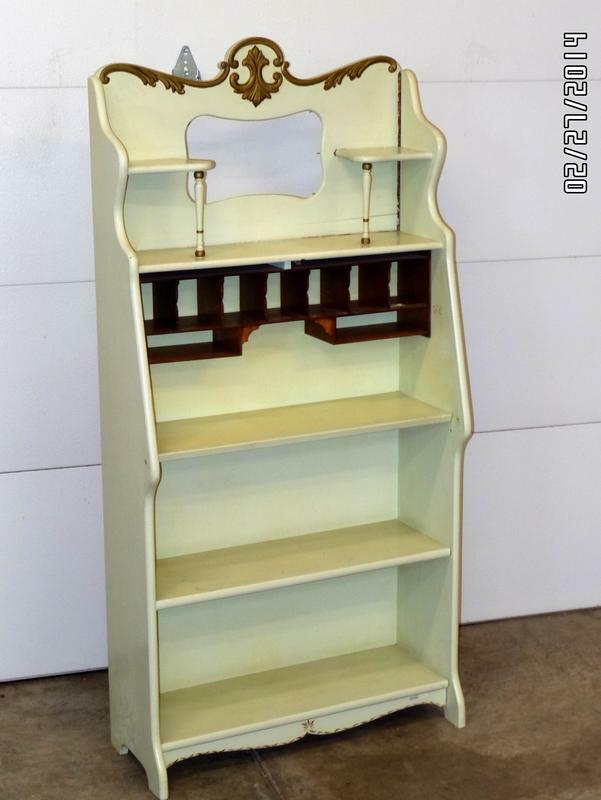 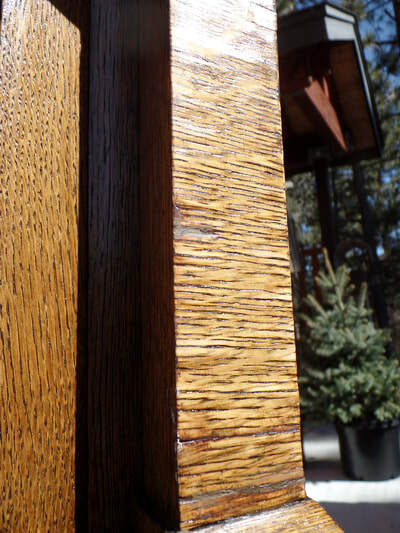 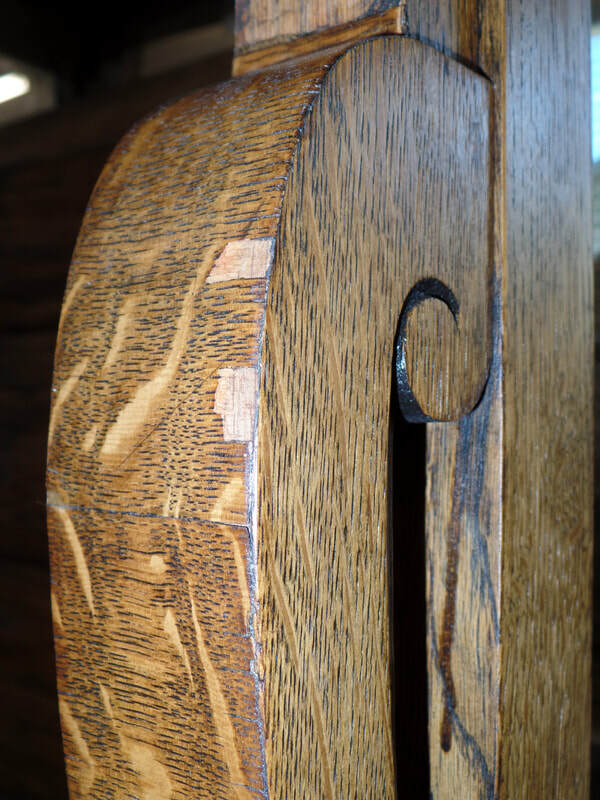 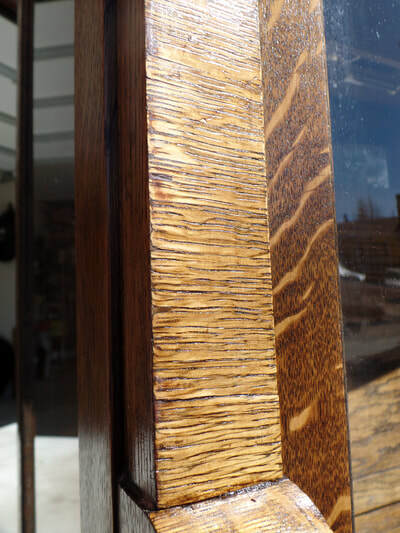 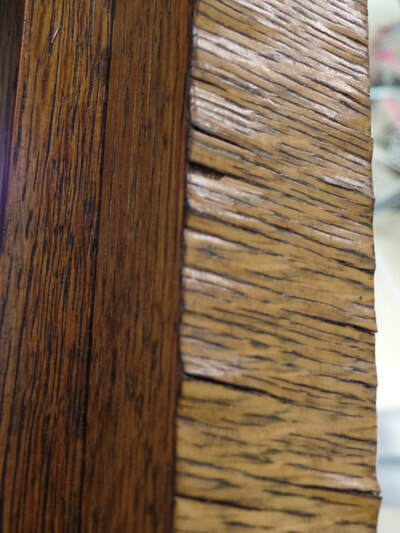 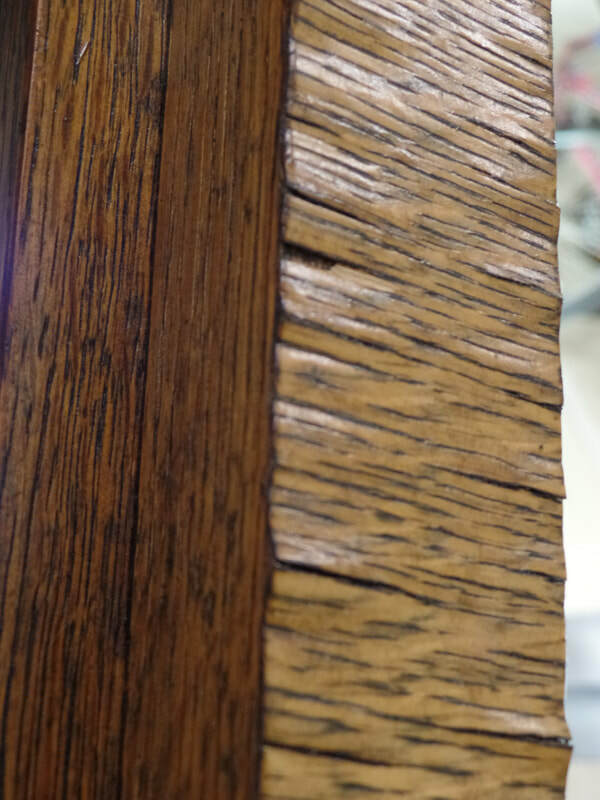 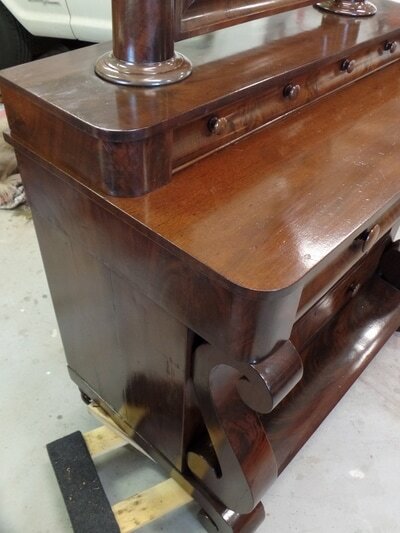 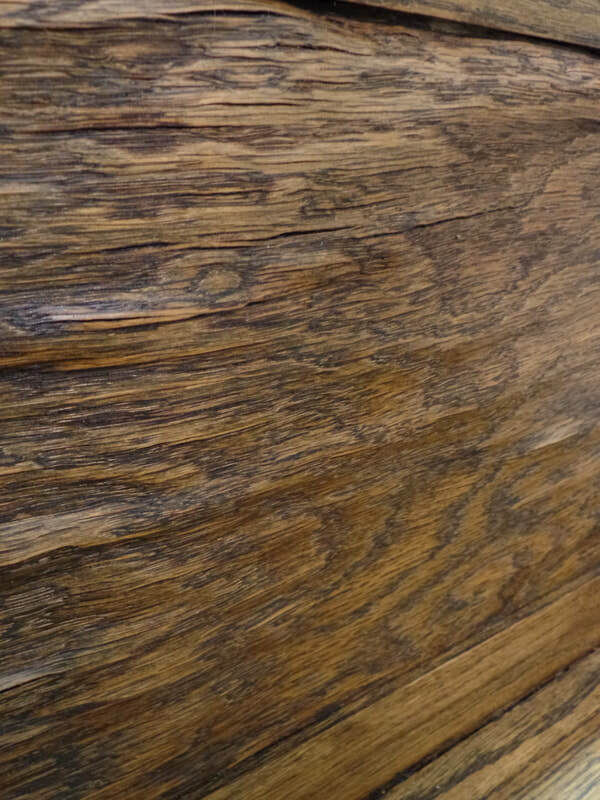 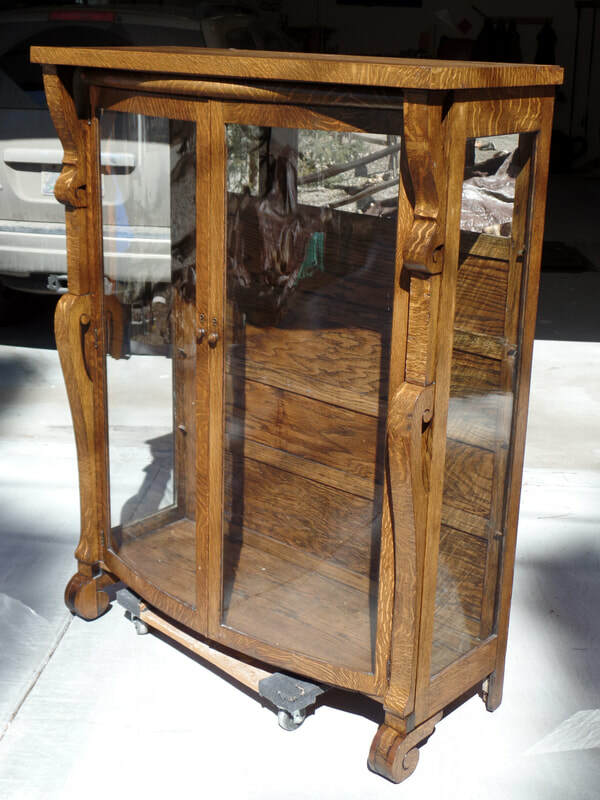 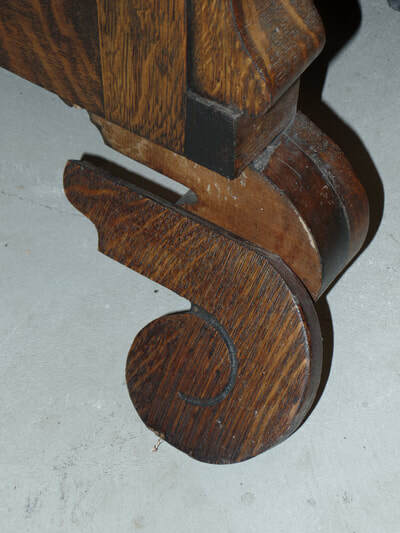 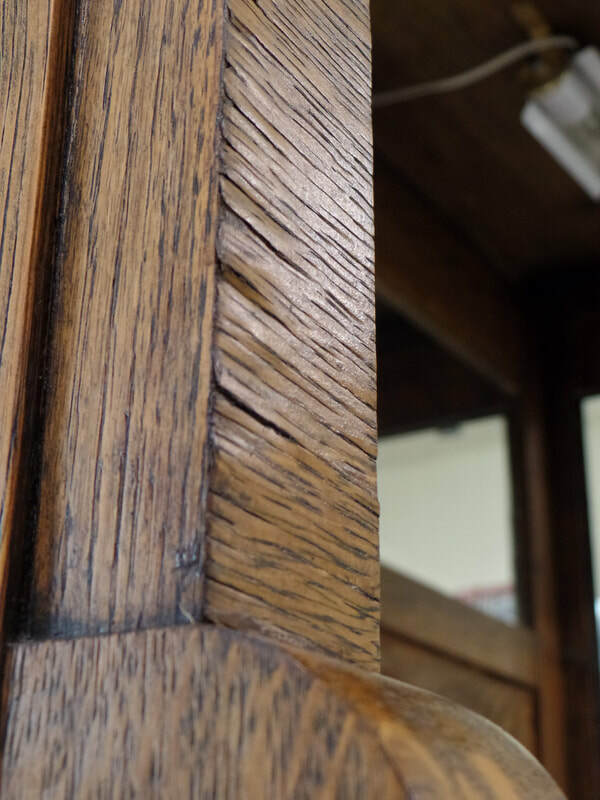 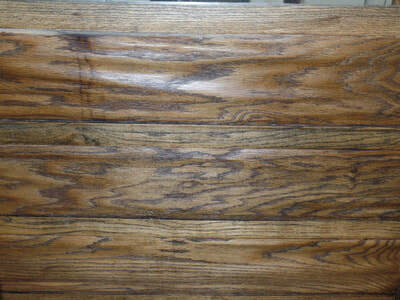 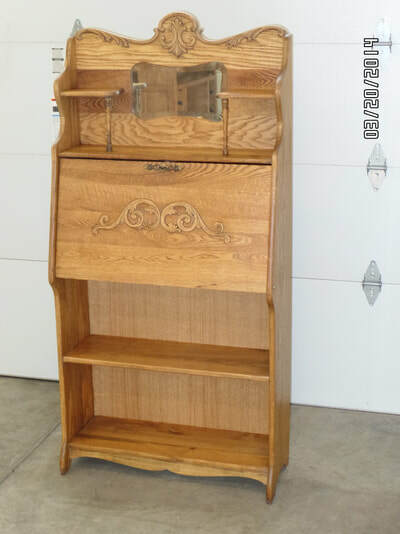 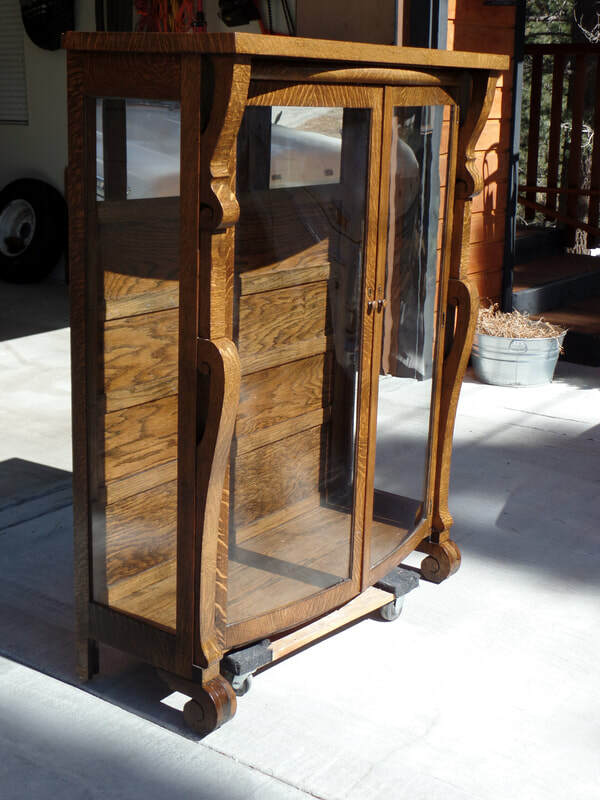 ​The finish needed to be lightly sanded and re polished with shellac. ​The paint was thick and hard to get off but once I did it really turned out beautiful. 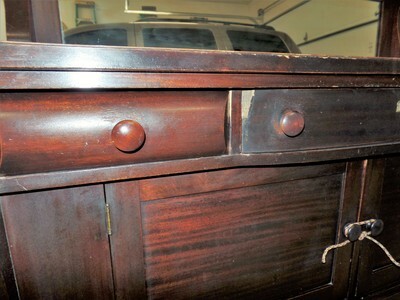 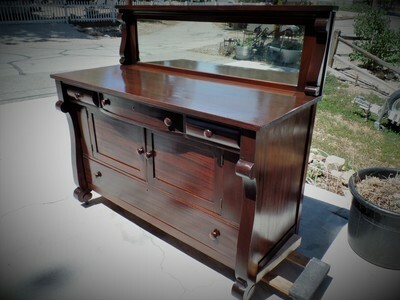 This Dresser was dirty, I cleaned it with a two step process and waxed it.